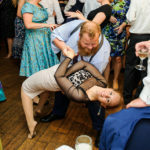 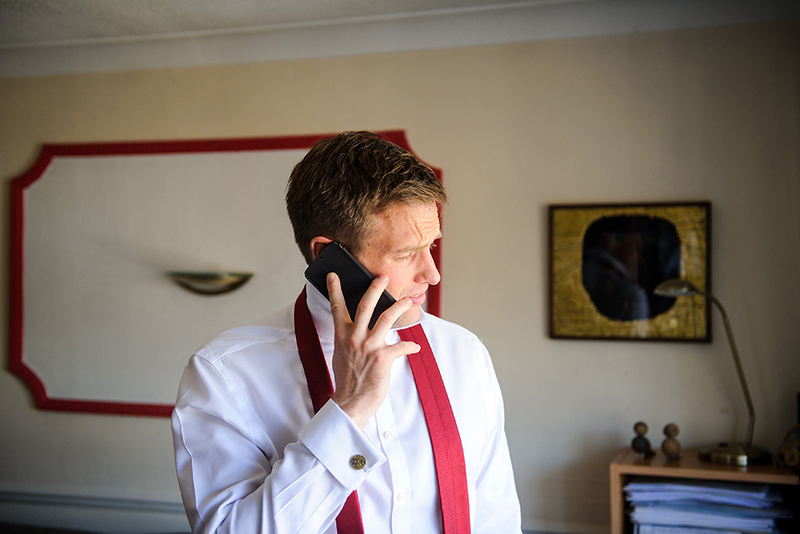 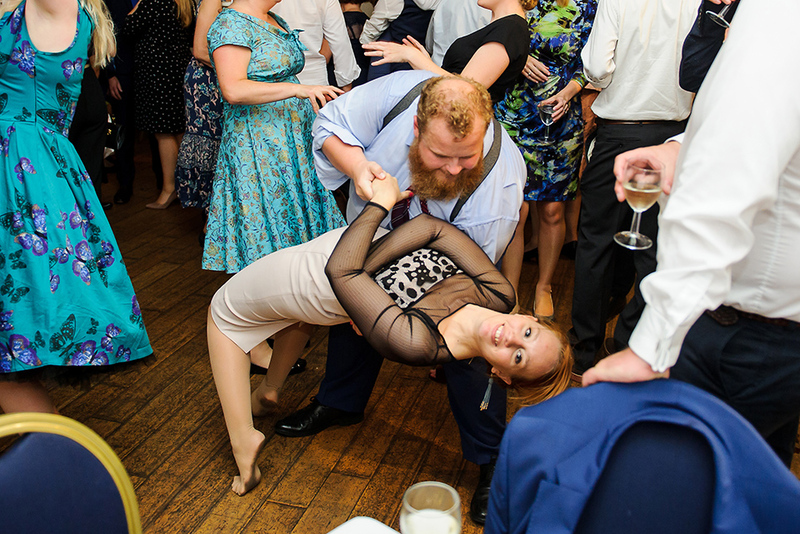 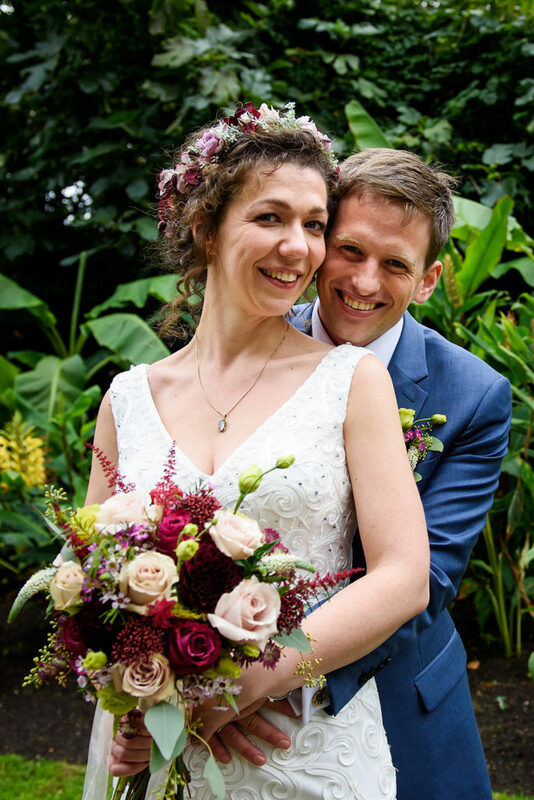 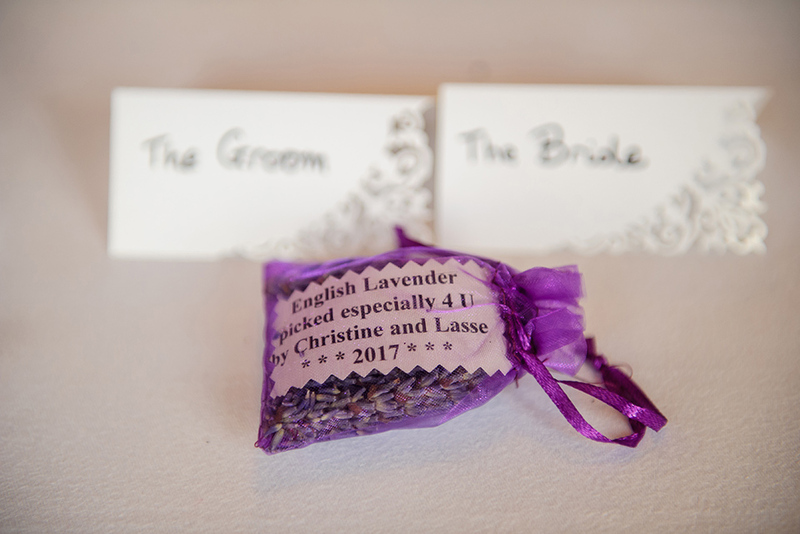 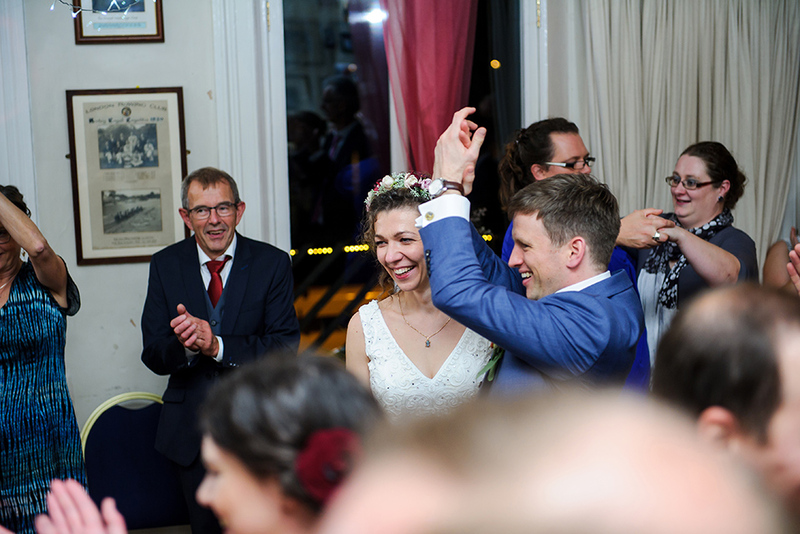 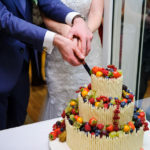 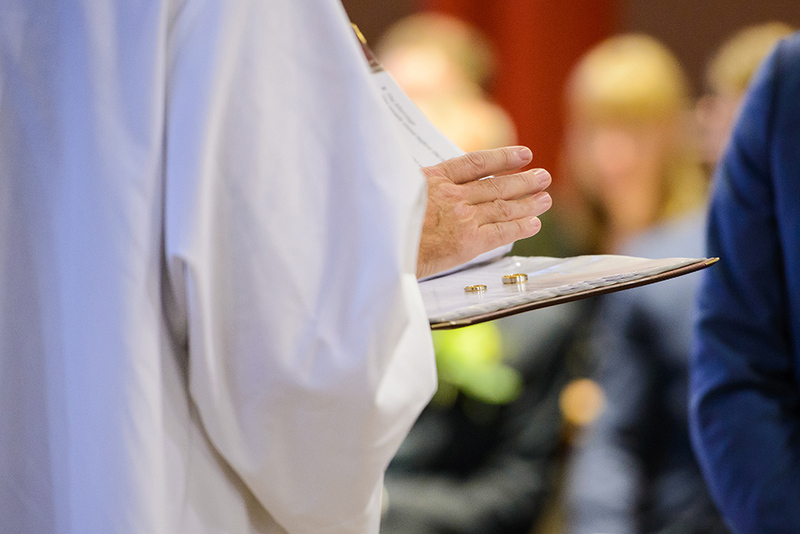 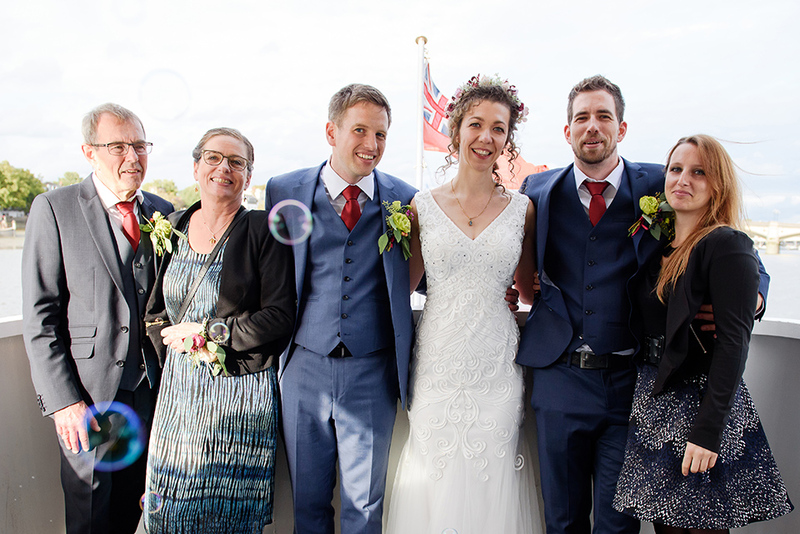 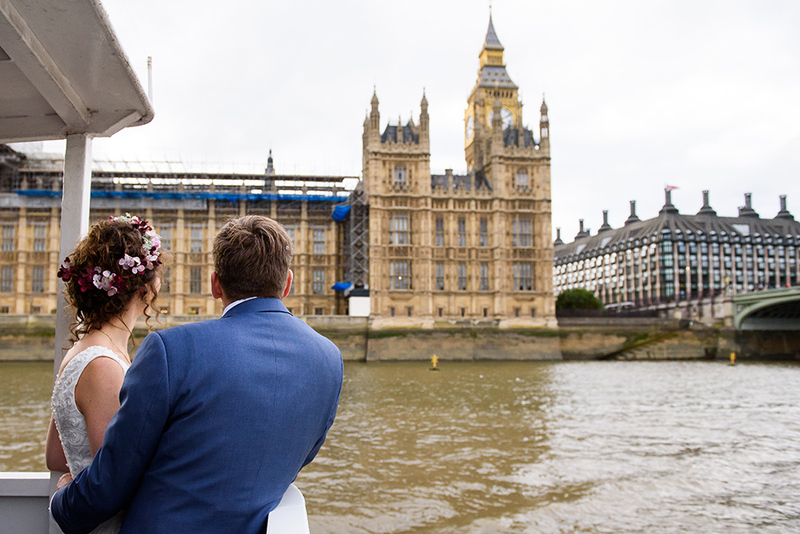 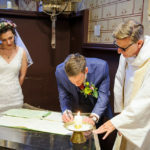 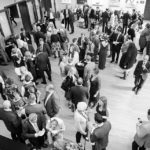 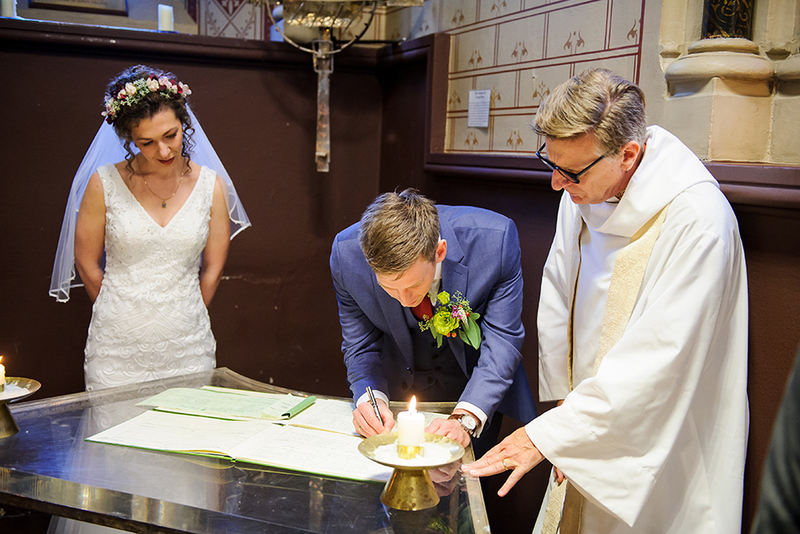 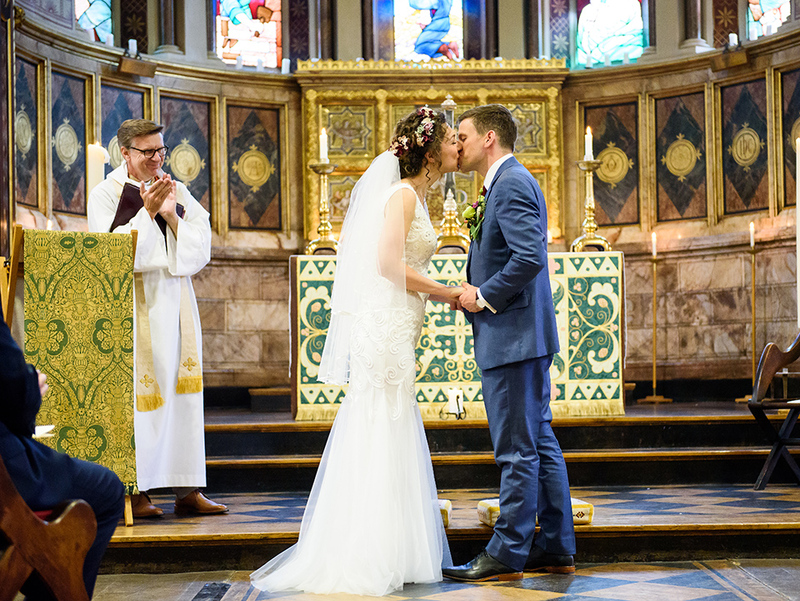 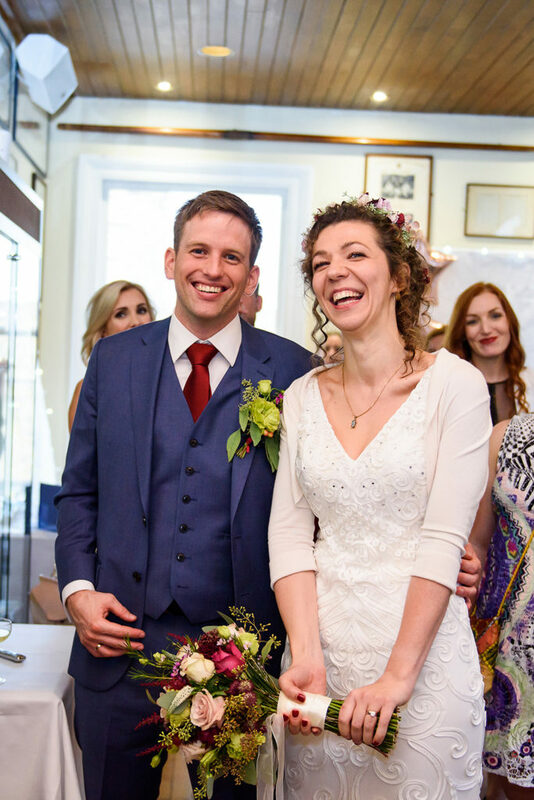 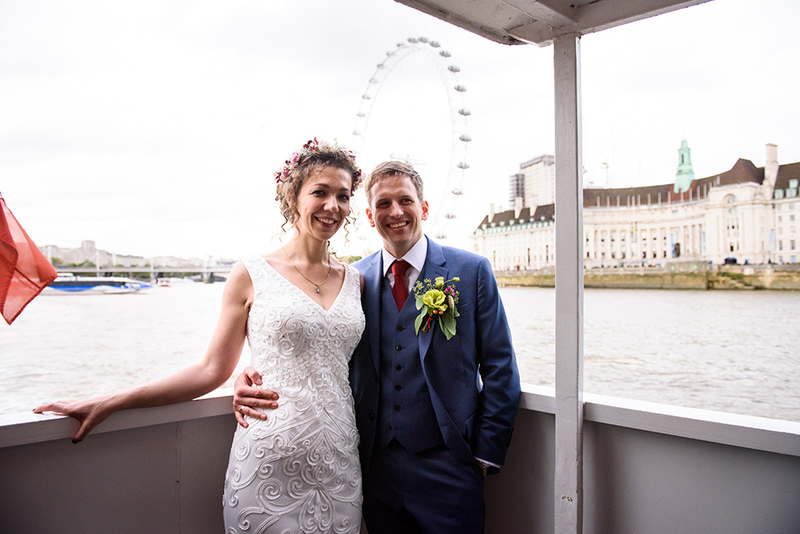 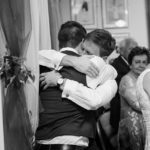 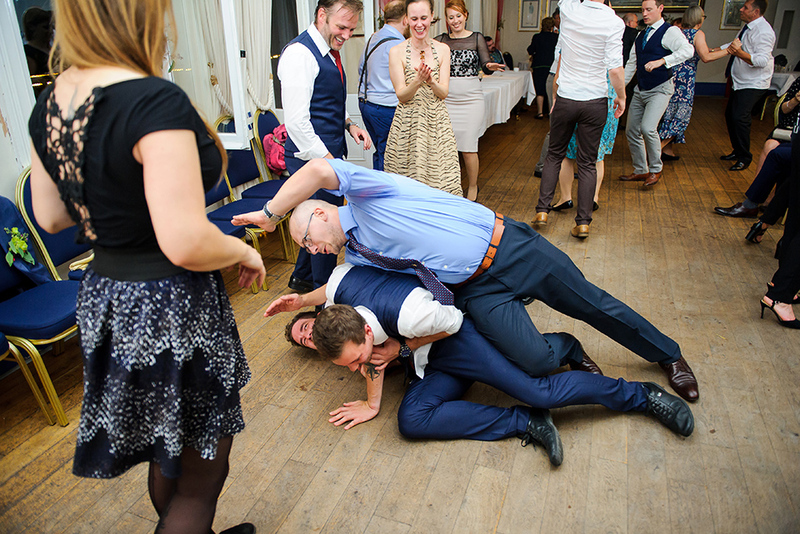 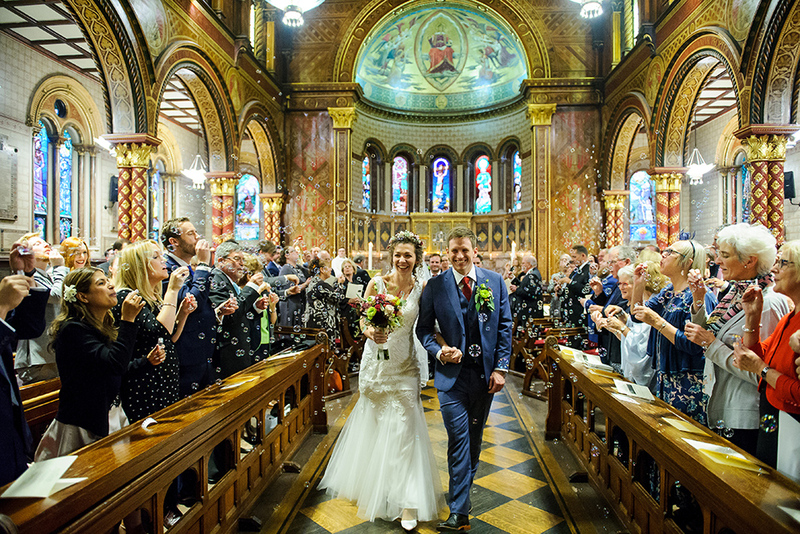 We met Christine and Lasse way before their wedding and we were thrilled to find out that they will be having their religious wedding ceremony at The Chapel Kings College London. 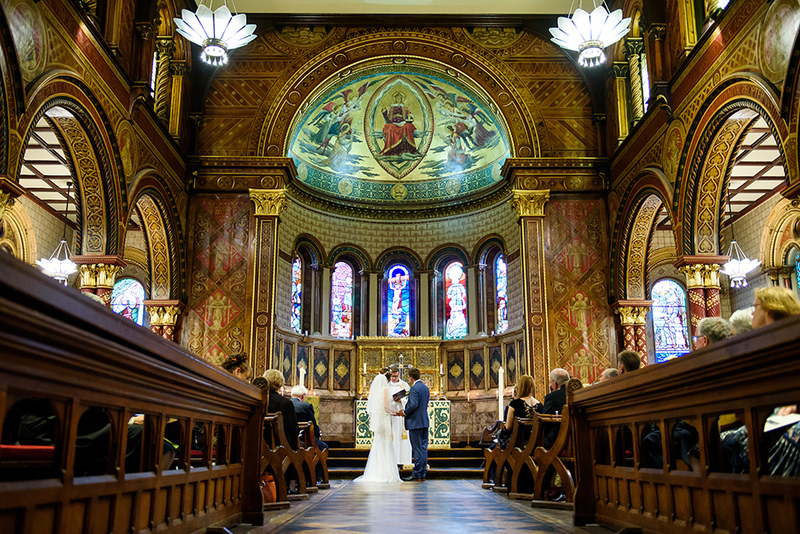 The Chapel Kings College London is such an iconic and also representative location for London and we always wanted to cover a wedding here. 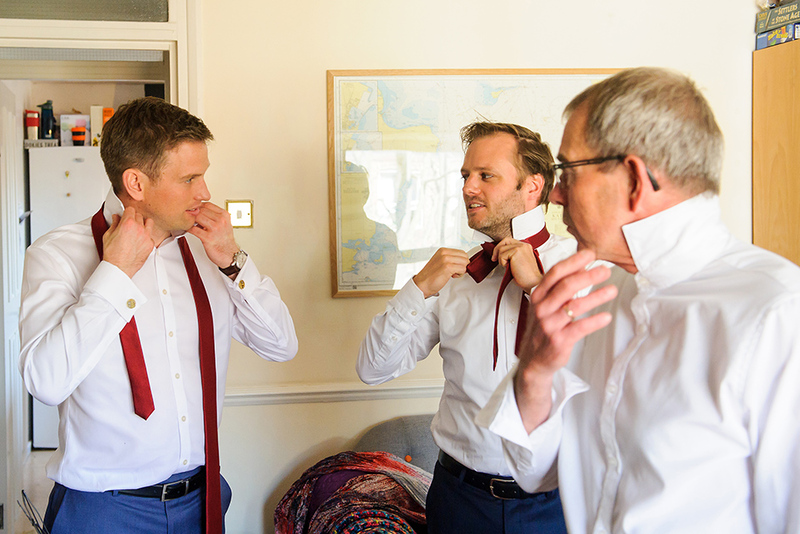 During the morning preparations we usually split so Nina was covering Christine getting ready while George was with Lasse and his family. 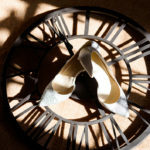 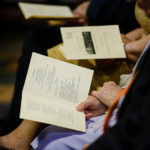 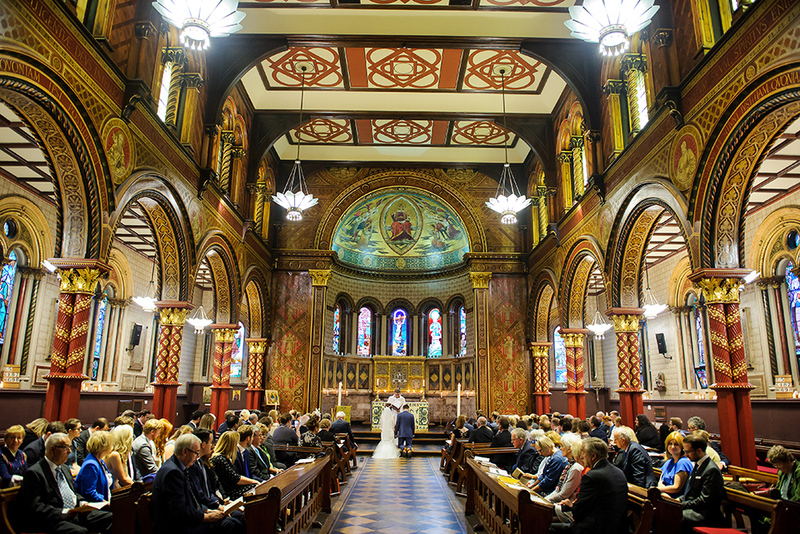 As it always happens, the morning went by really quick and soon it was time to leave for the ceremony at The Chapel Kings College London. 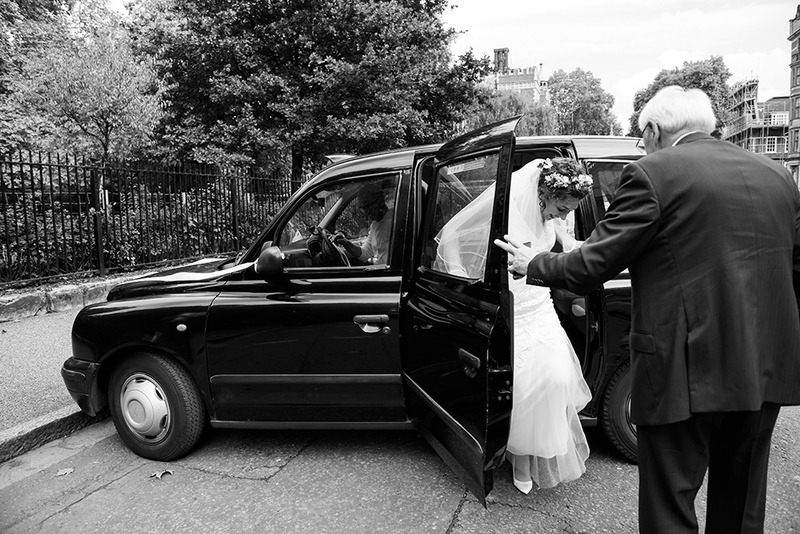 For all Central London weddings we allow a little bit of extra time for parking as traffic sometimes can be tricky. 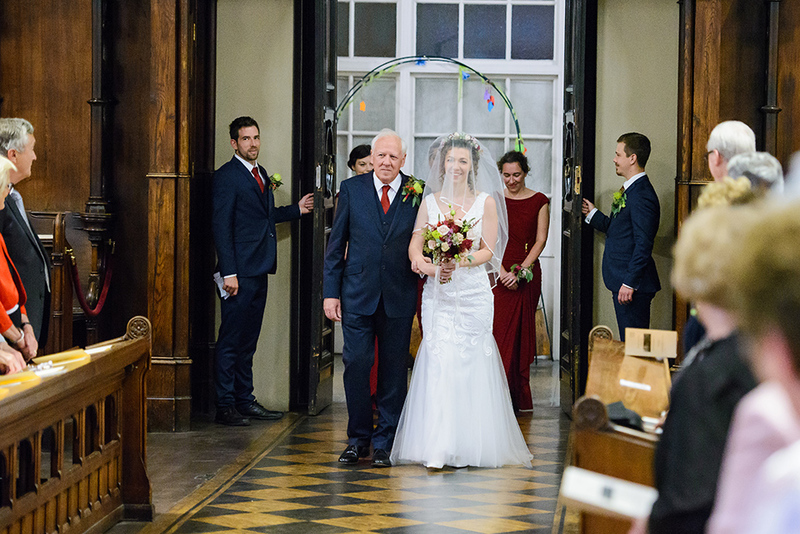 Christine looked absolutely amazing in her wedding dress as she walked down the aisle accompanied by her father. 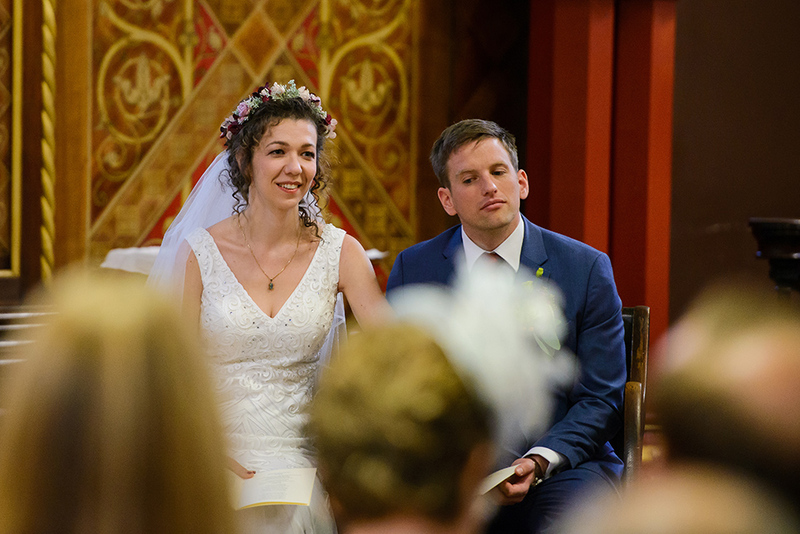 Christine and Lasse opted for a choir to be part of the ceremony and the music was fantastic, it was absolutely beautiful. 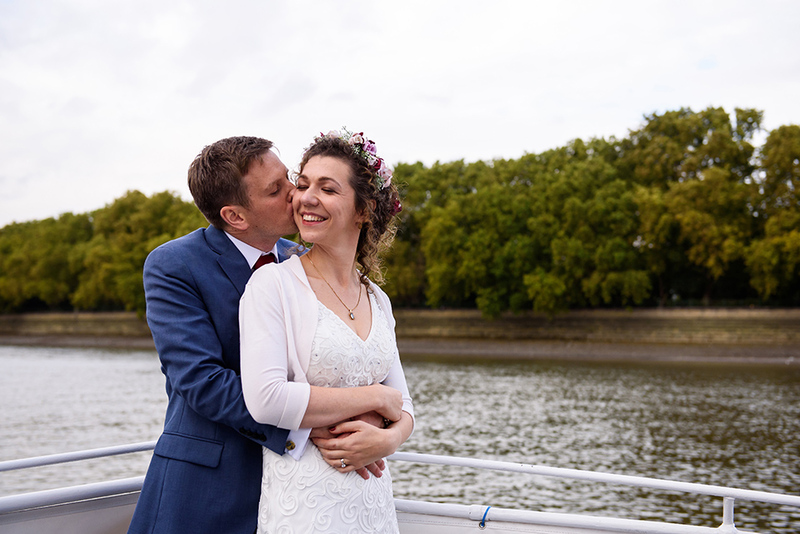 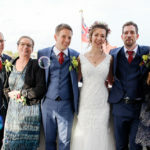 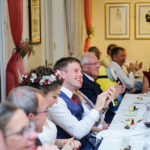 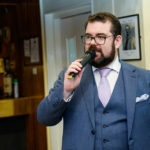 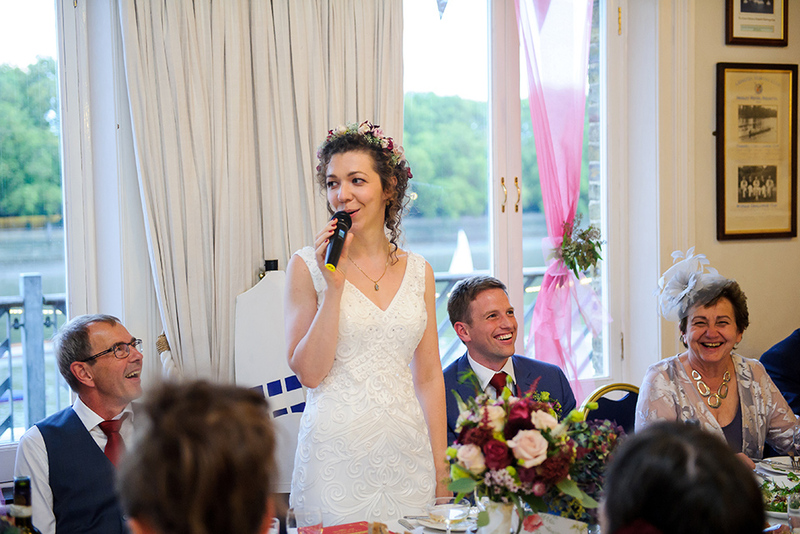 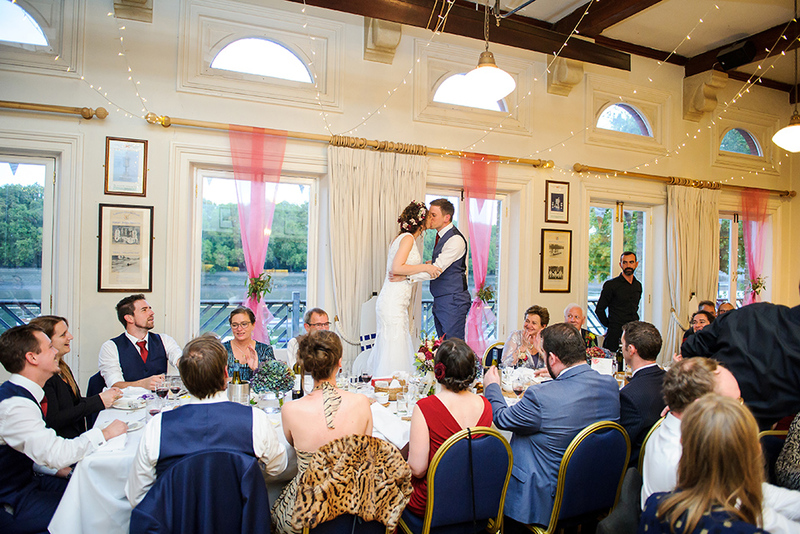 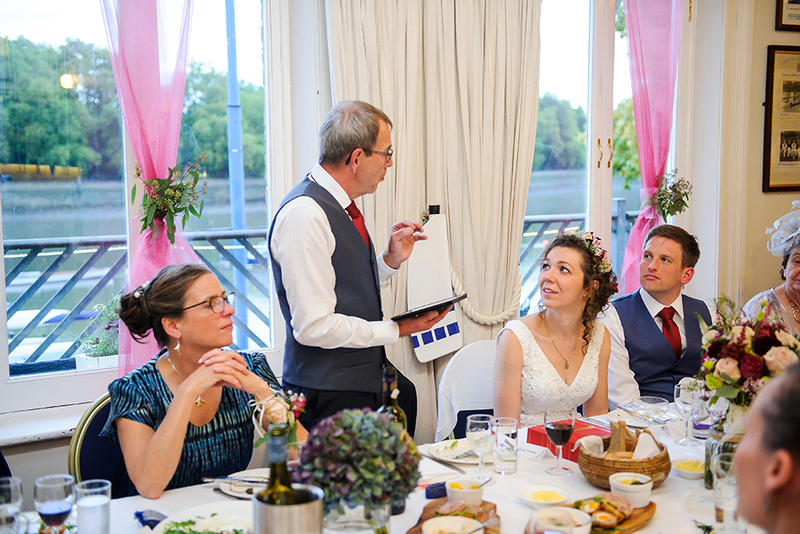 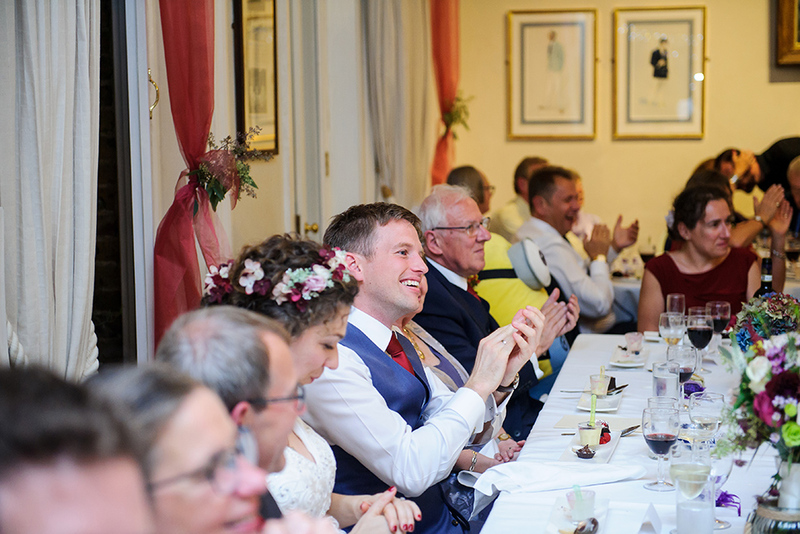 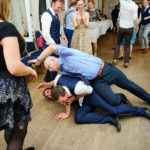 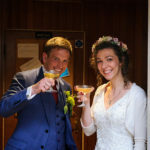 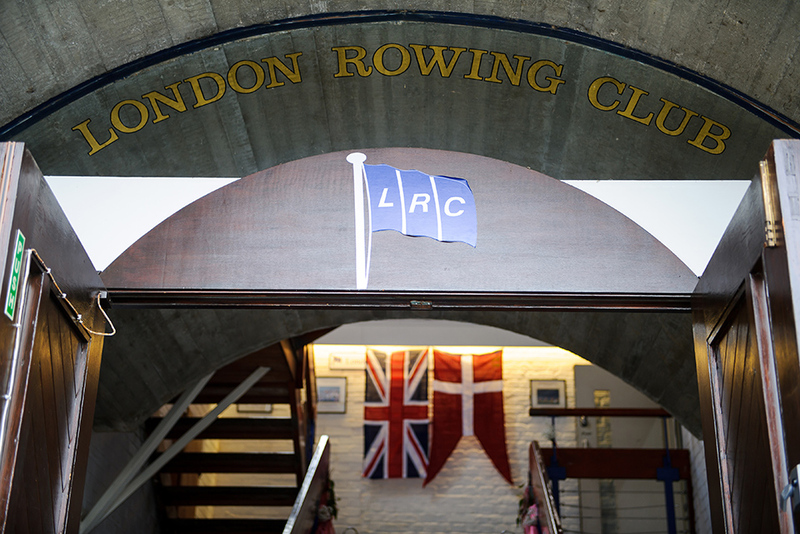 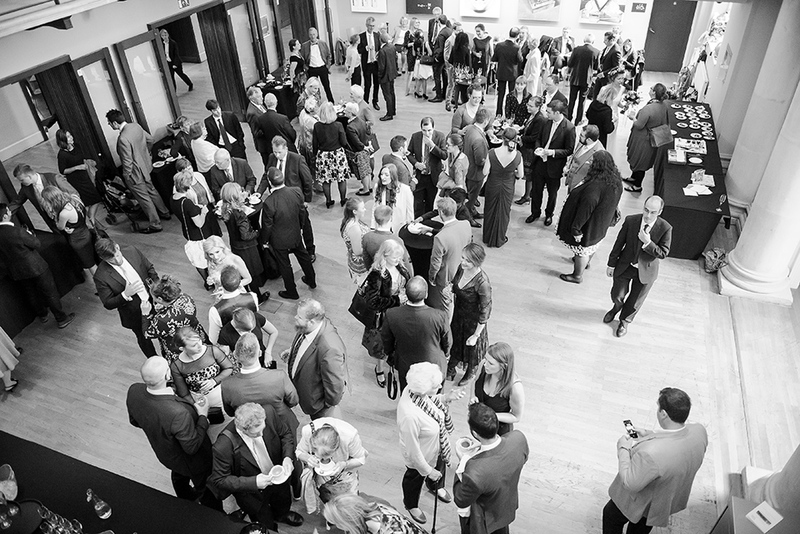 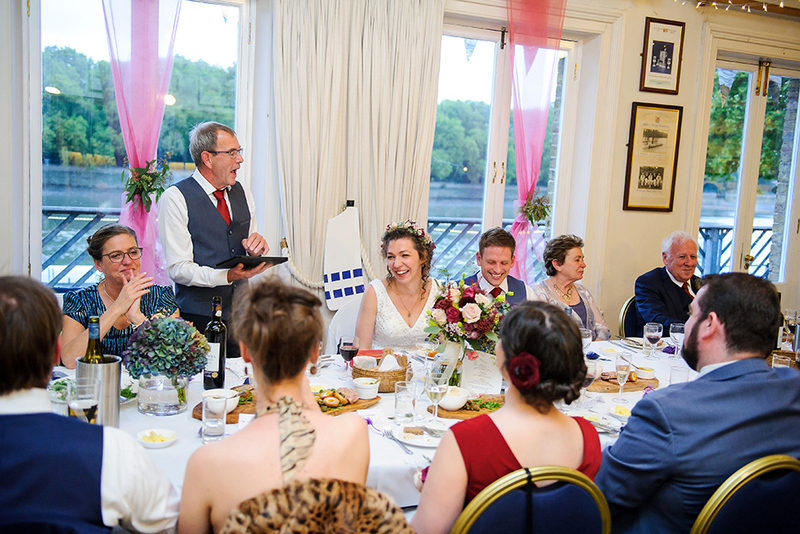 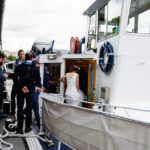 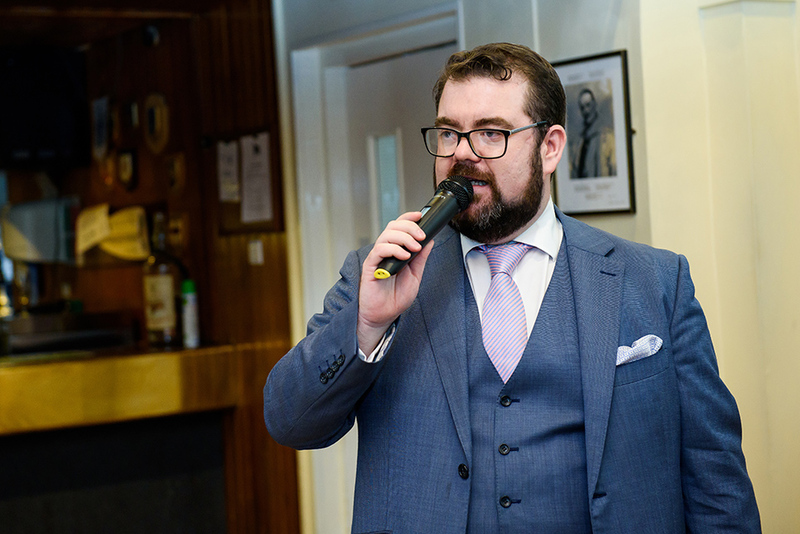 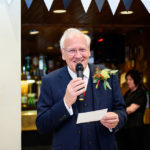 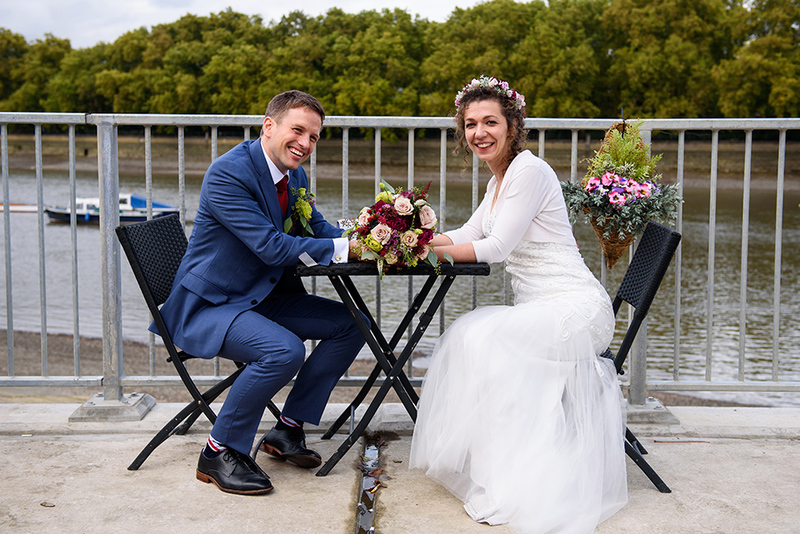 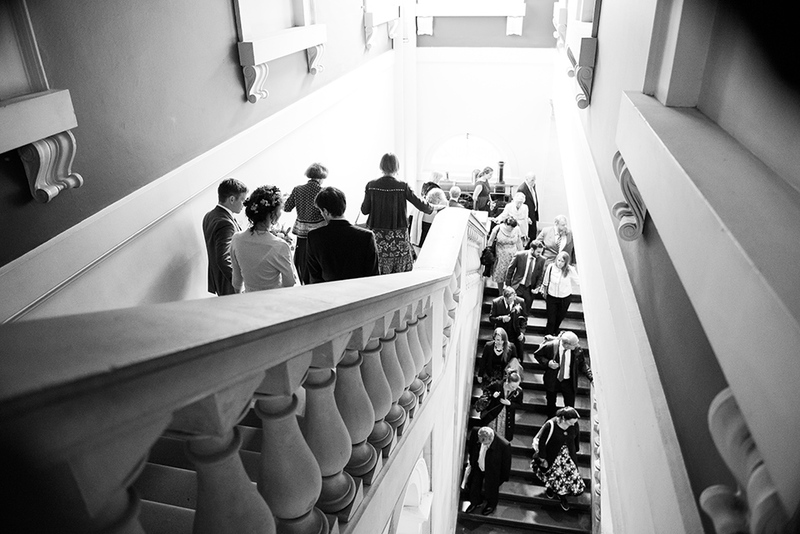 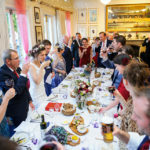 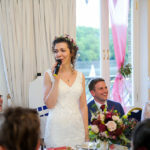 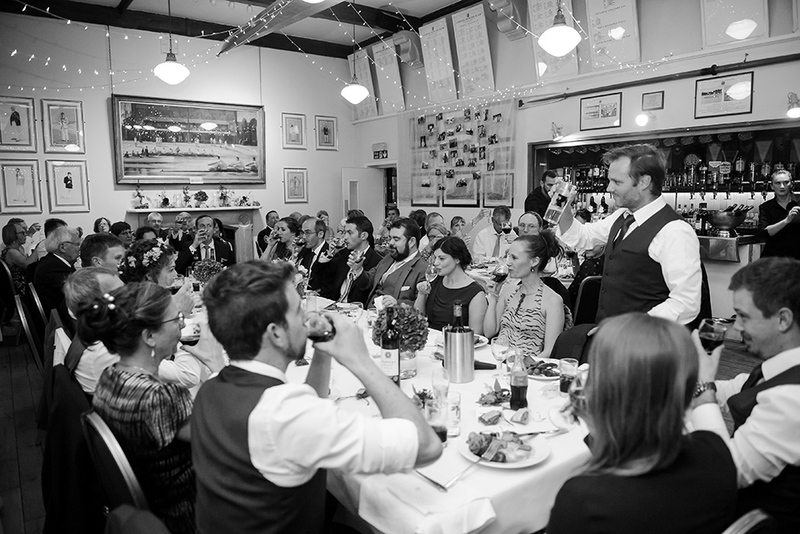 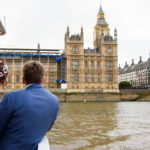 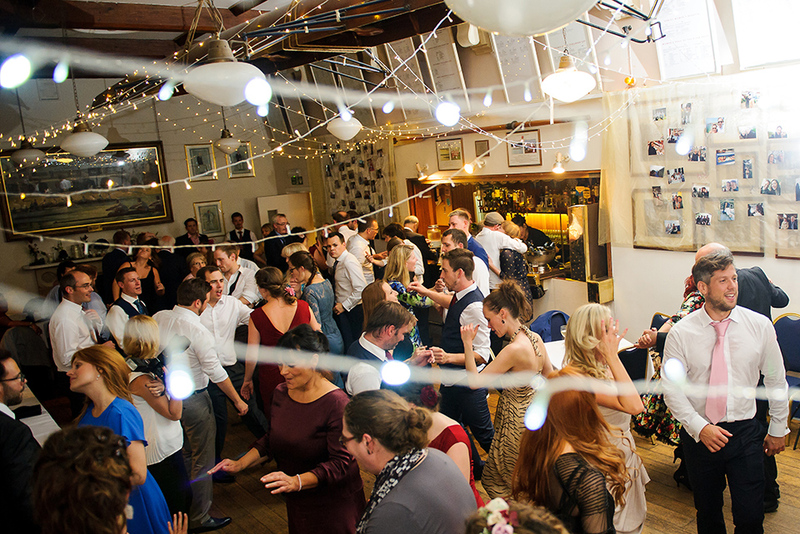 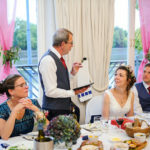 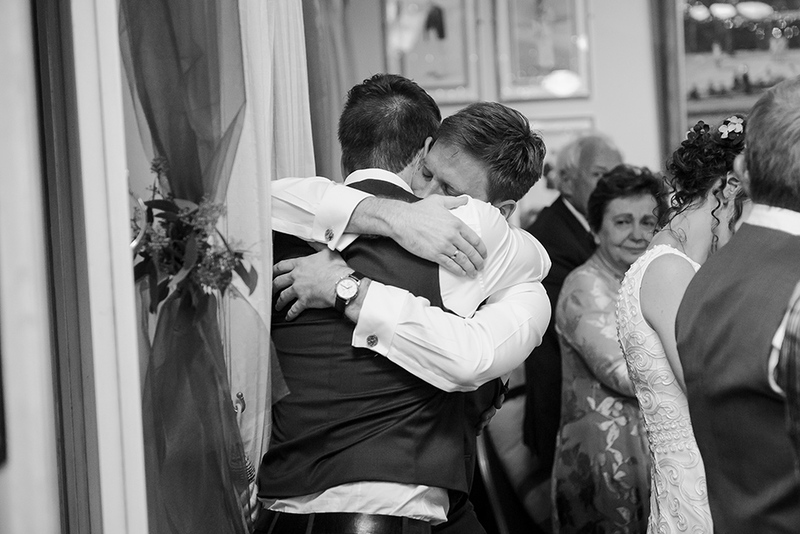 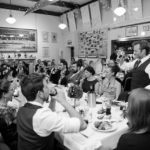 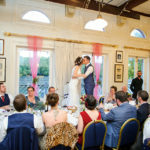 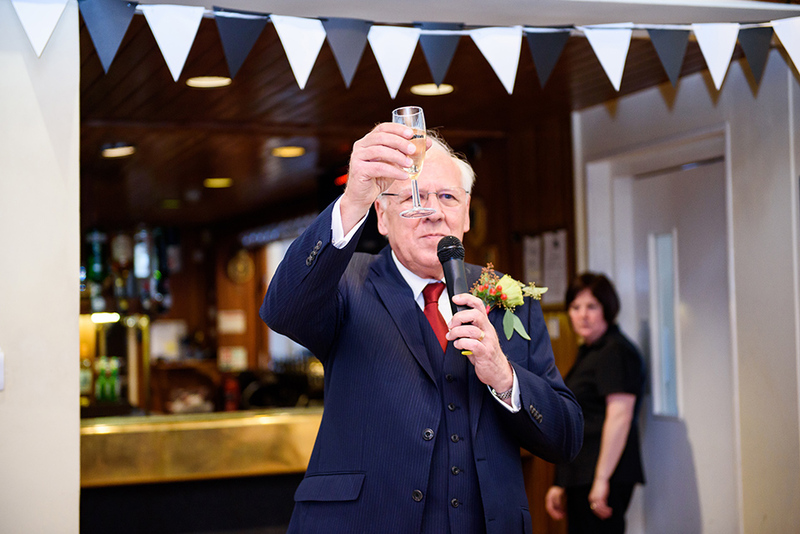 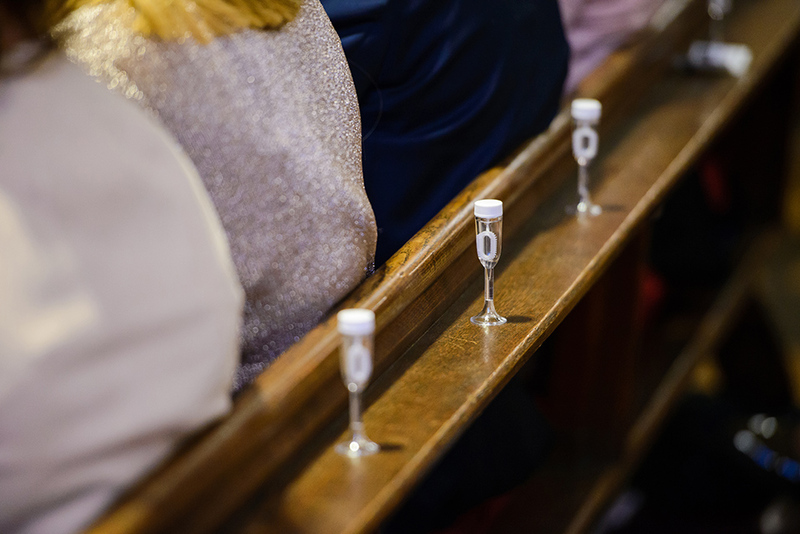 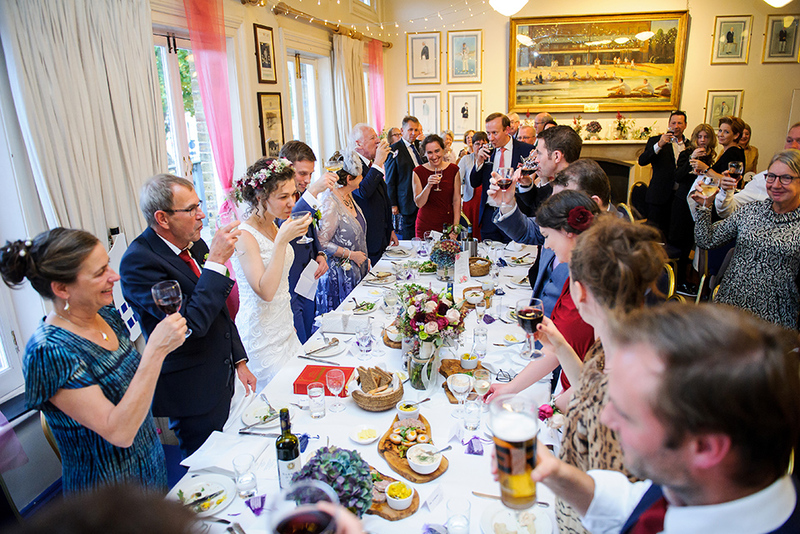 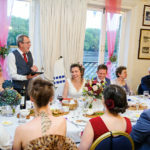 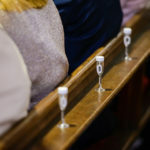 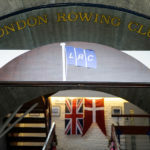 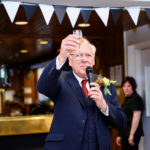 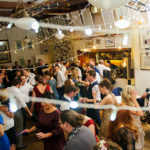 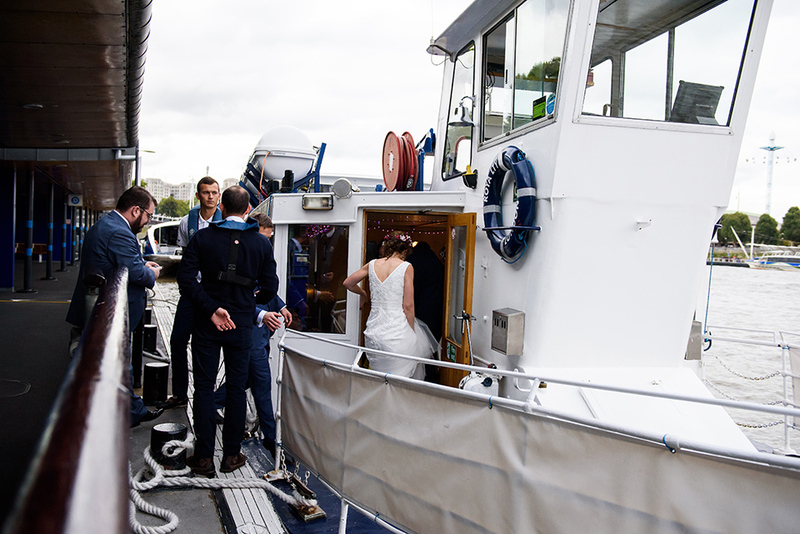 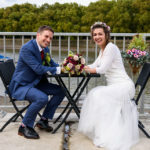 After the service the guests had a little bit of time to enjoy a cup of prosecco and congratulate the newly wedd couple before making their way to the The London Rowing Club. 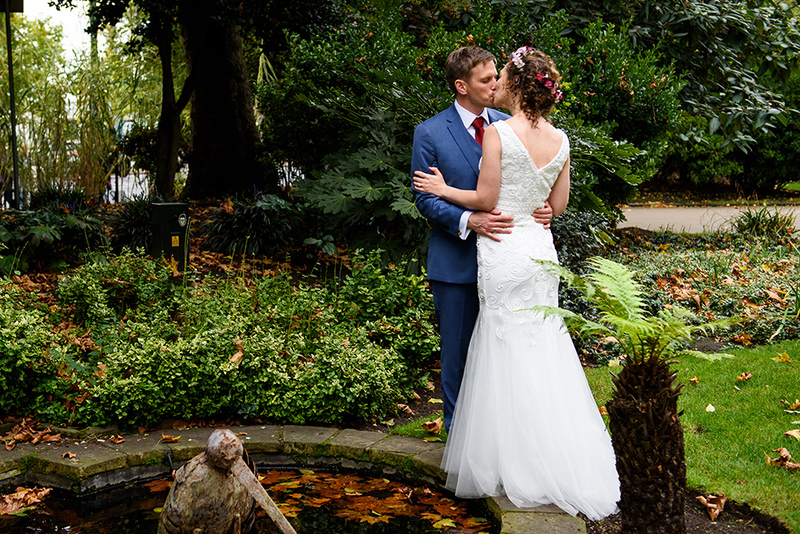 We even managed to squeeze a short photo session with our bride and groom using the beautiful backgrounds the College has to offer. 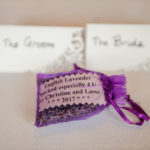 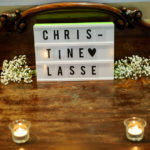 The venue was beautifully decorated and you can see Christine and Lasse personal input on all decorations. 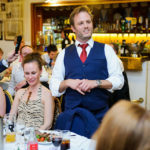 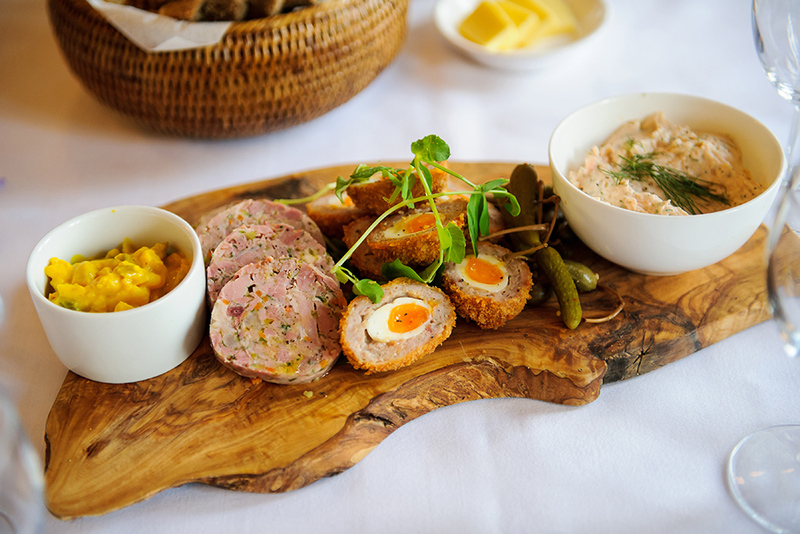 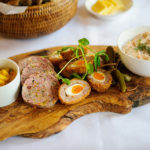 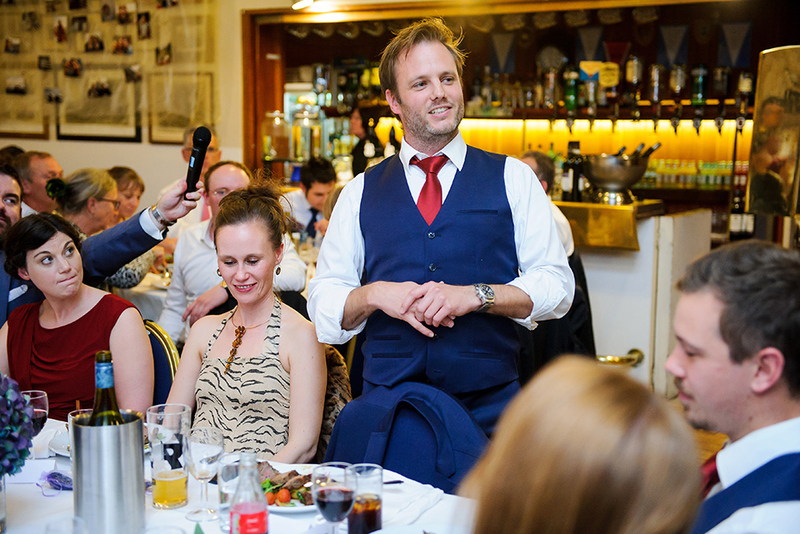 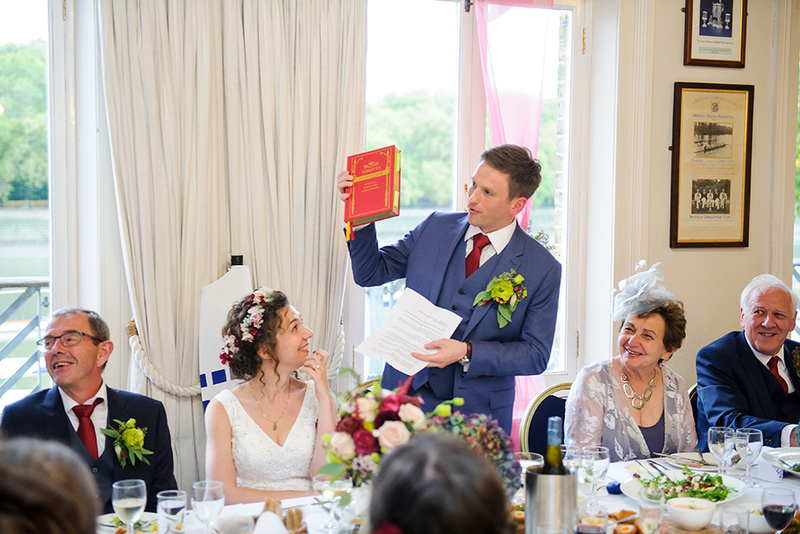 As Lasse’s family is from Denmark, we had beautiful traditions during the day such as the speeches being carried throughout the wedding meal, which is such a great idea. 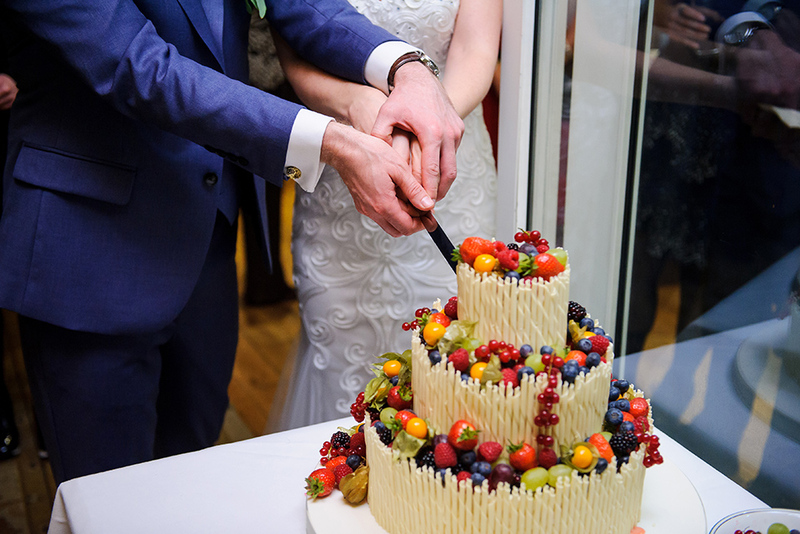 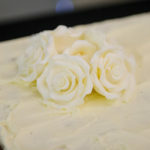 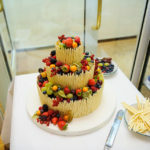 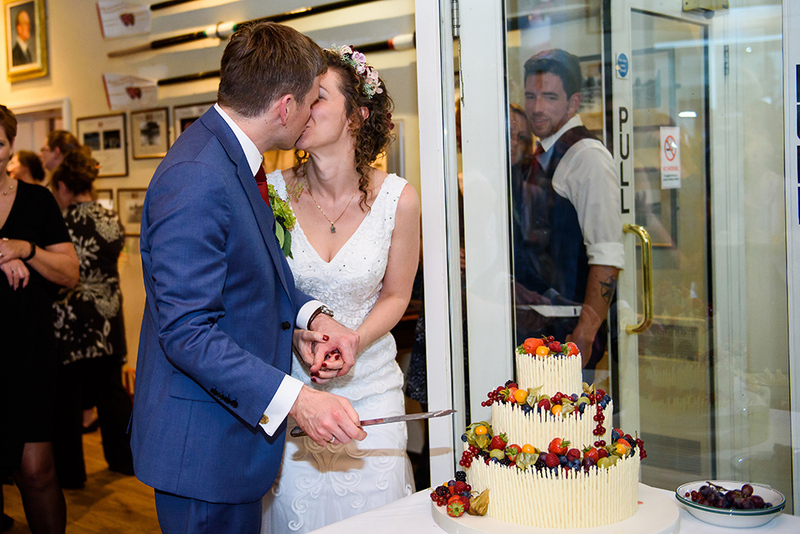 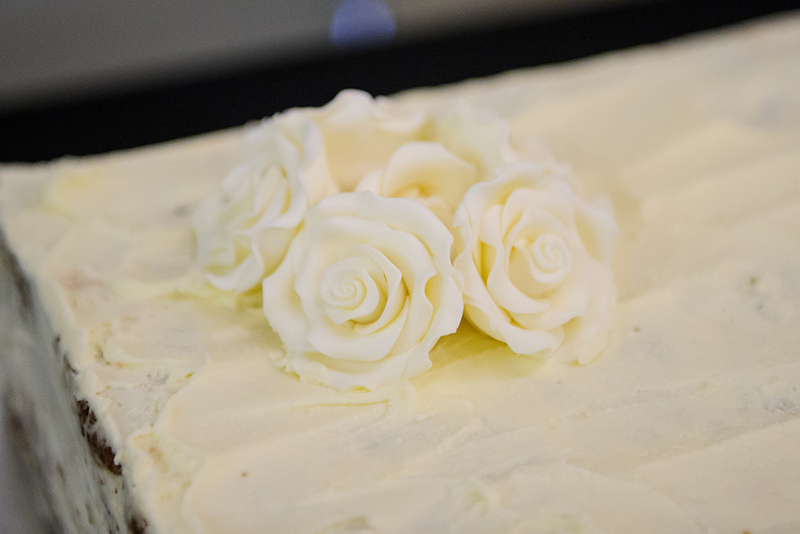 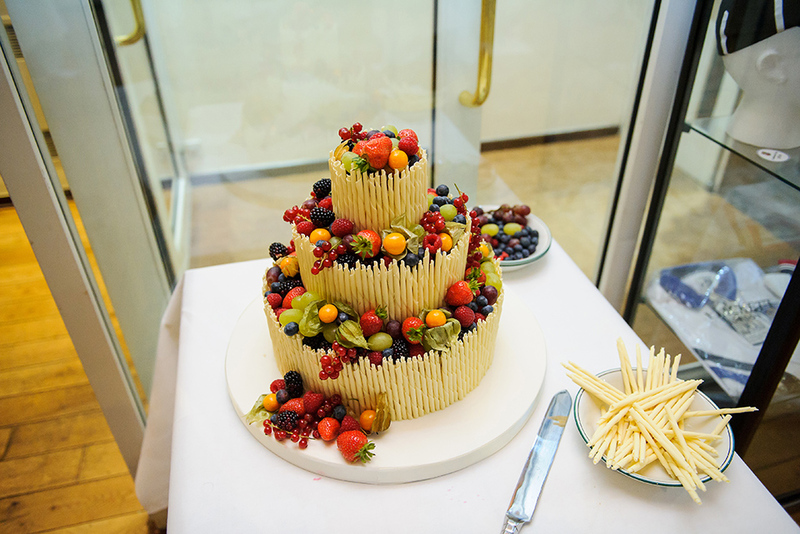 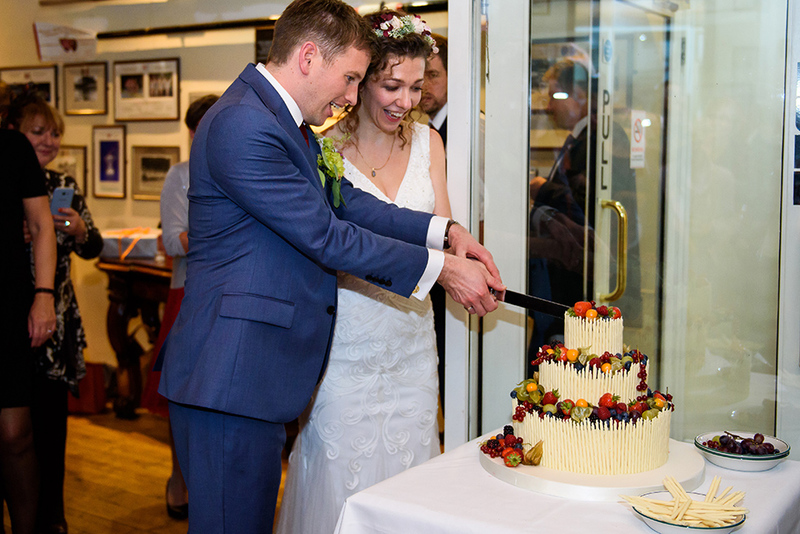 During the evening the wedding cake was cut and the room was reorganised for the evening part. 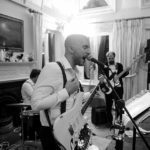 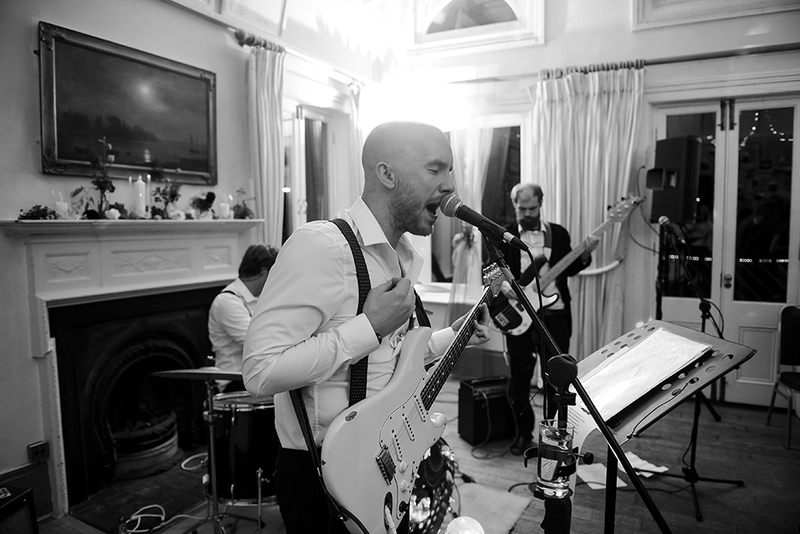 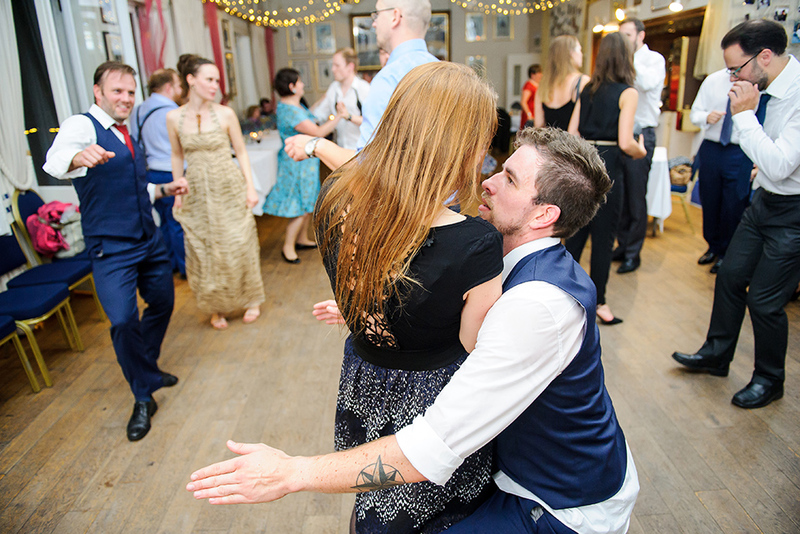 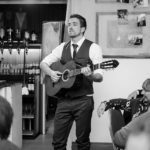 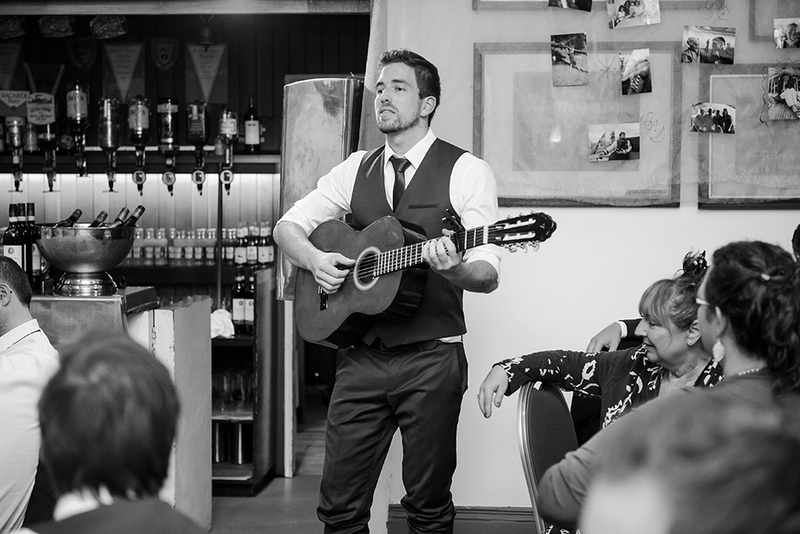 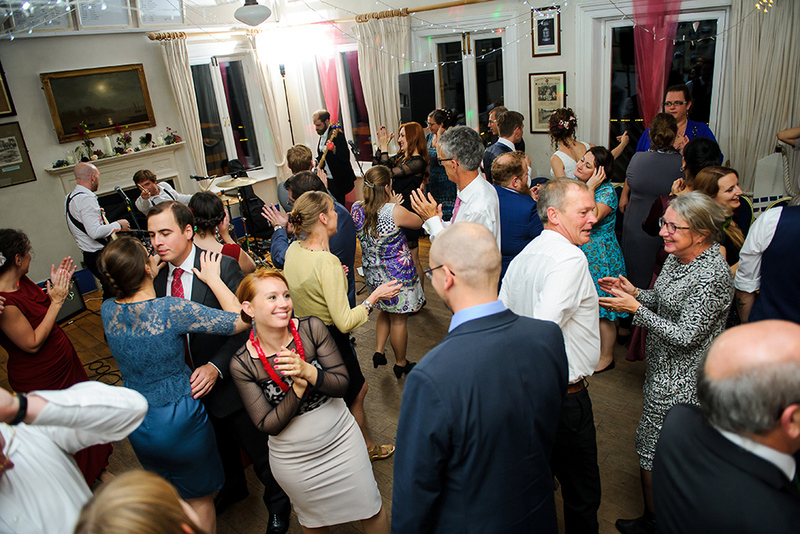 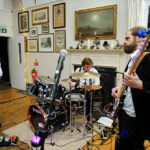 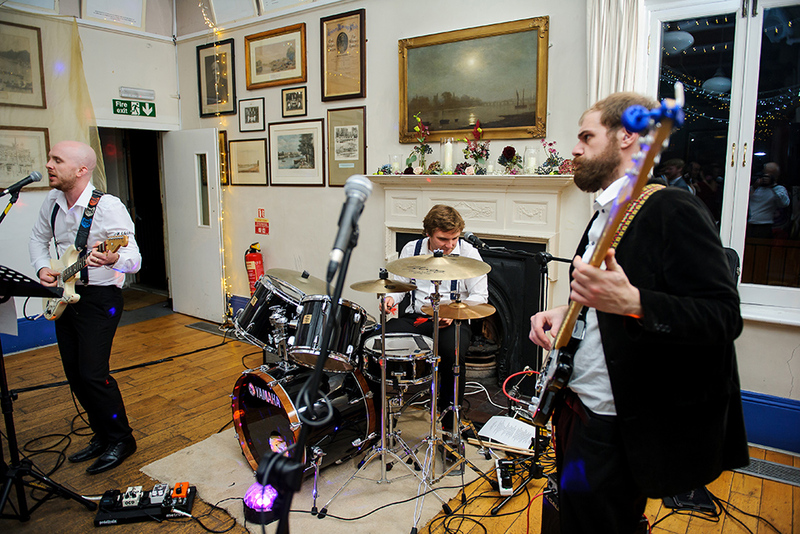 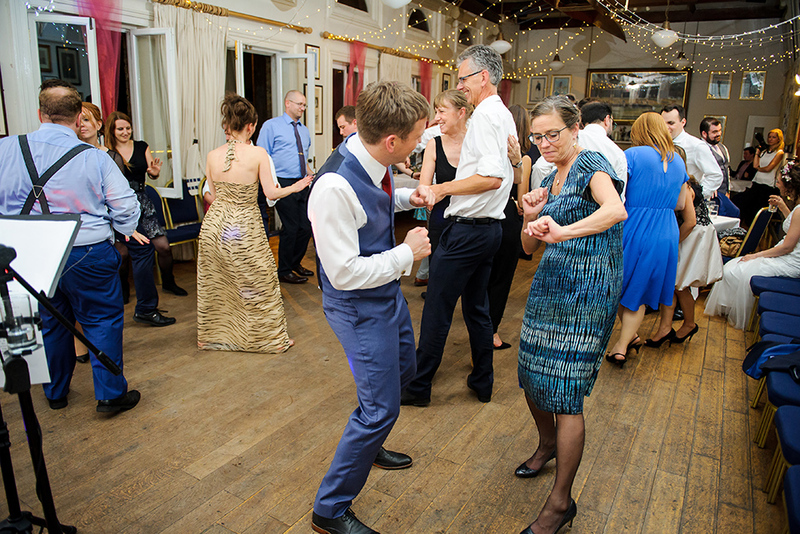 Once the band was set up, everyone was ready to hit the dance floor and a great party followed soon. 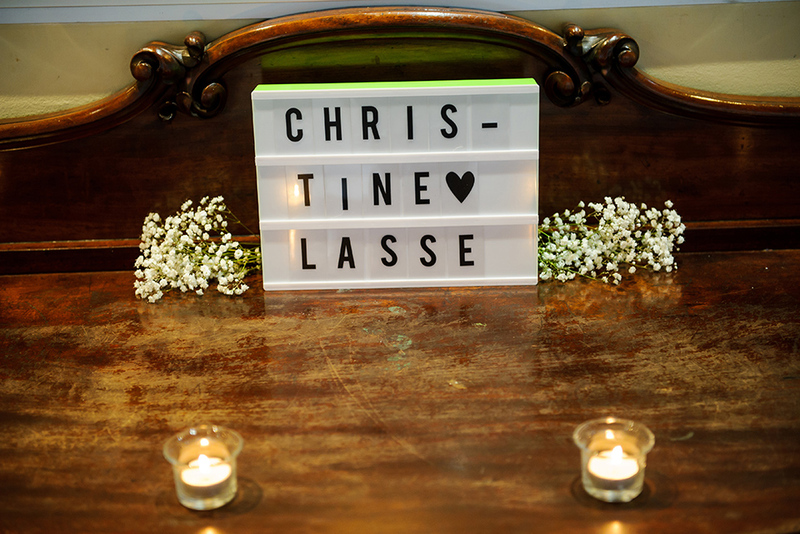 Dear Christine and Lasse, we had a great time at your wedding, thank you for choosing us to be your wedding photographers. 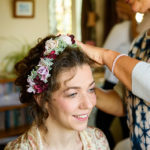 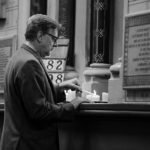 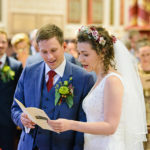 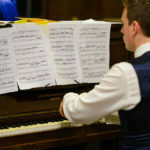 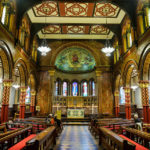 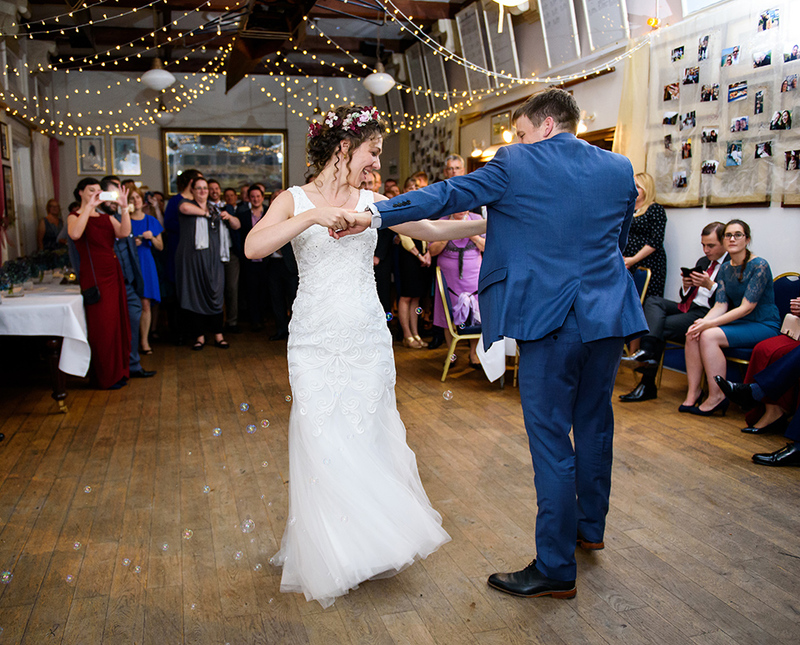 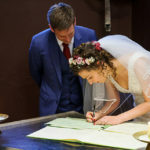 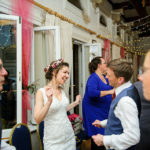 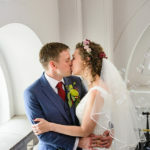 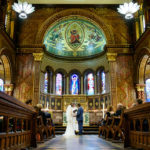 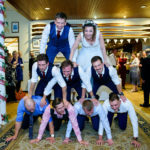 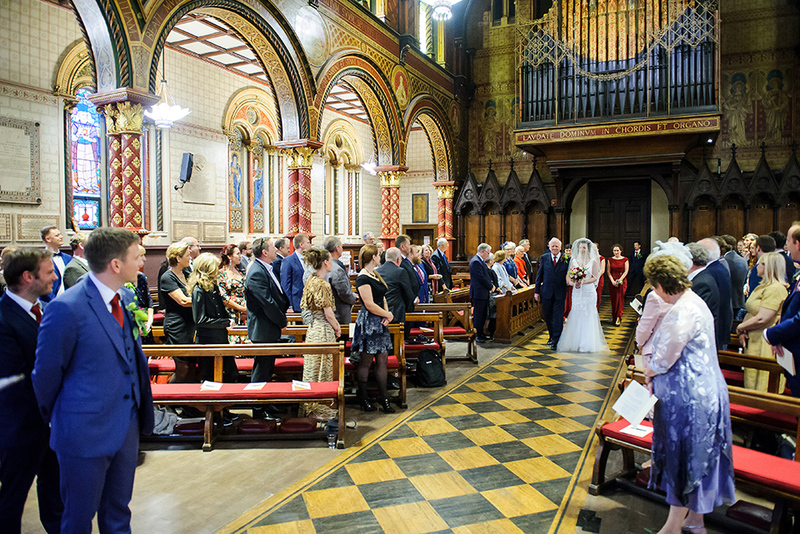 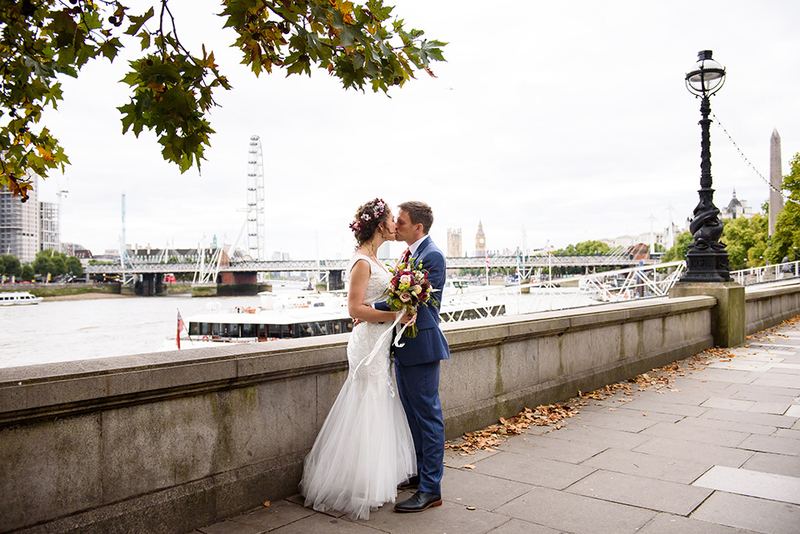 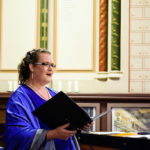 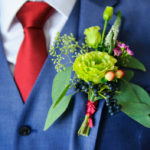 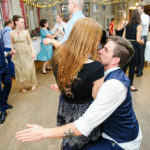 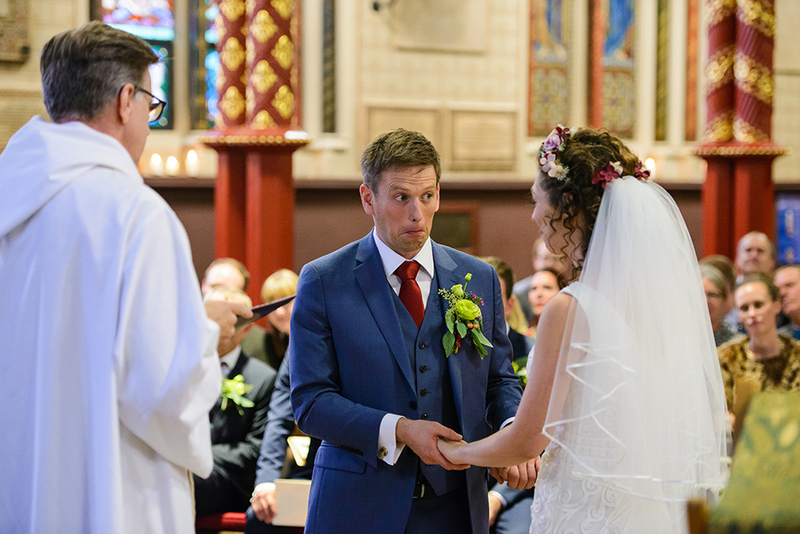 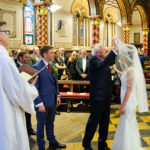 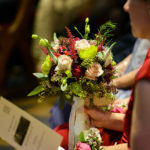 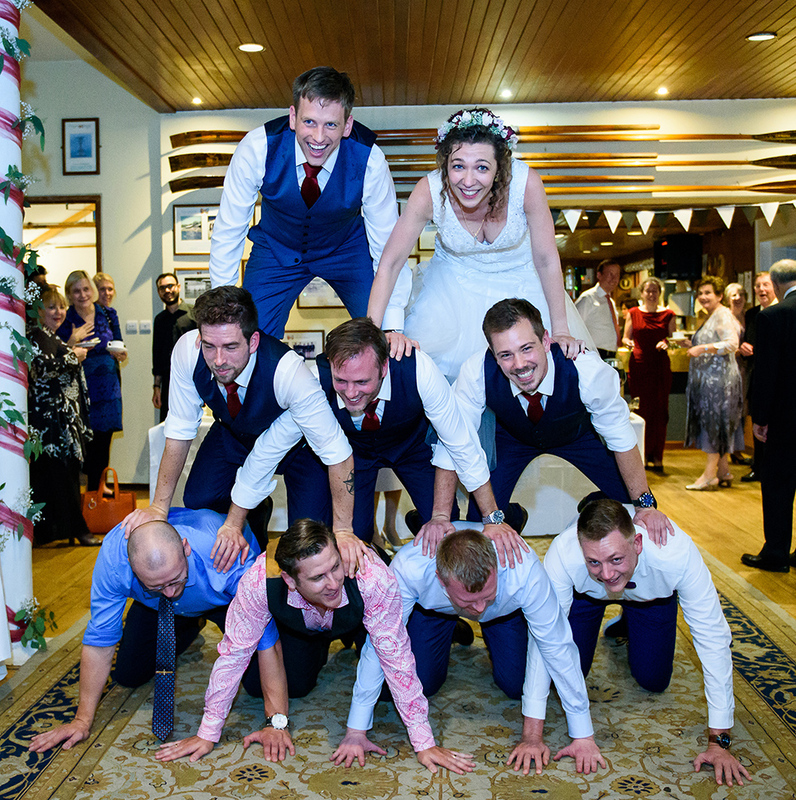 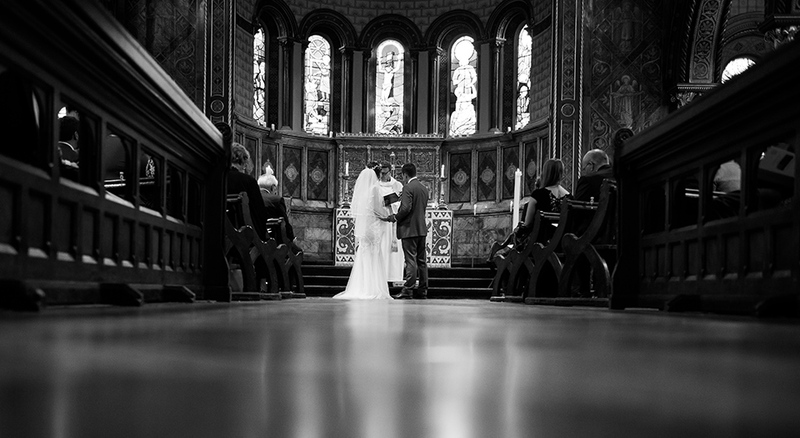 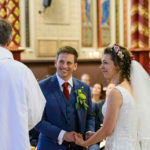 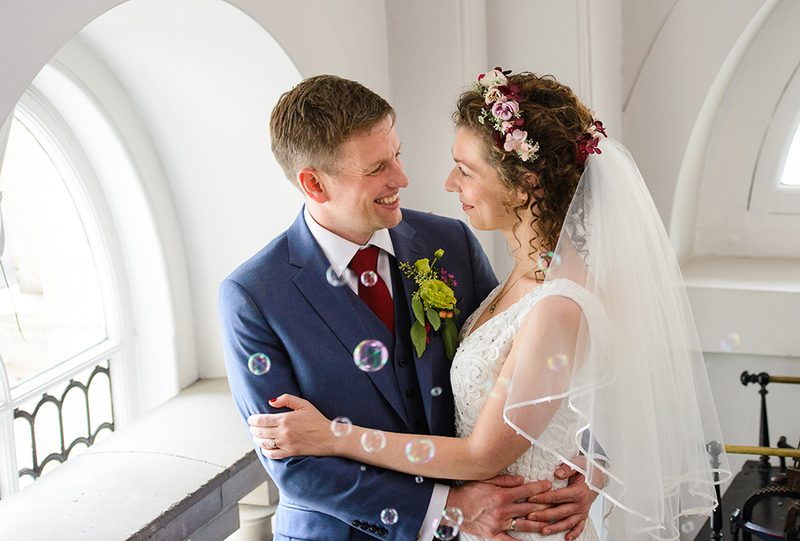 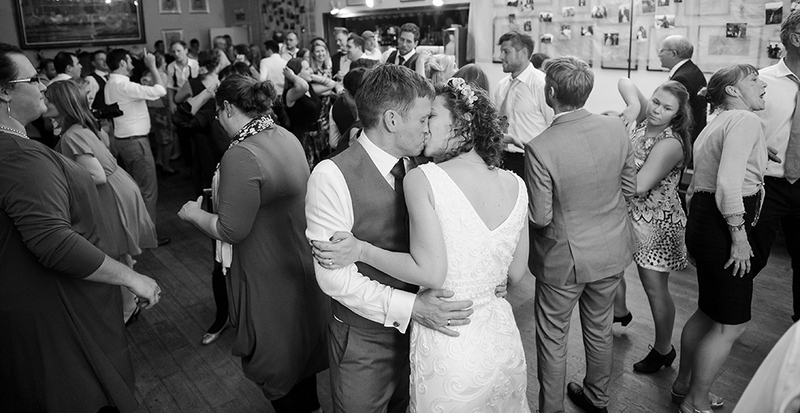 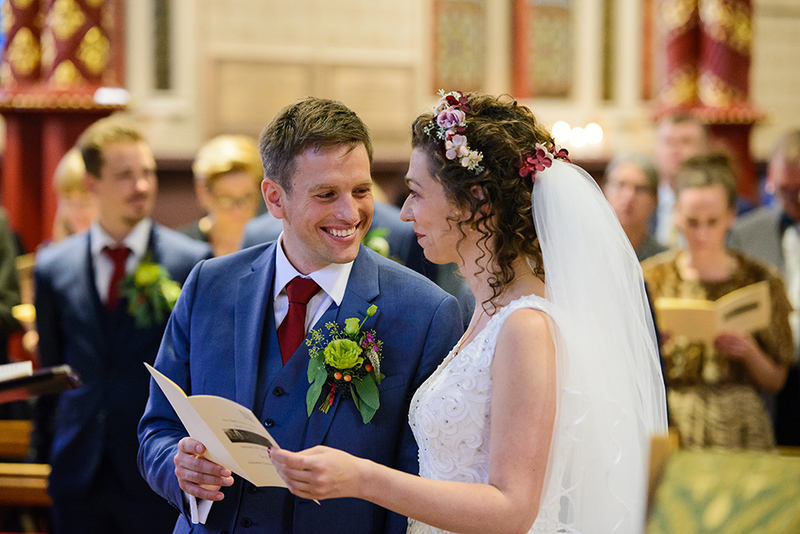 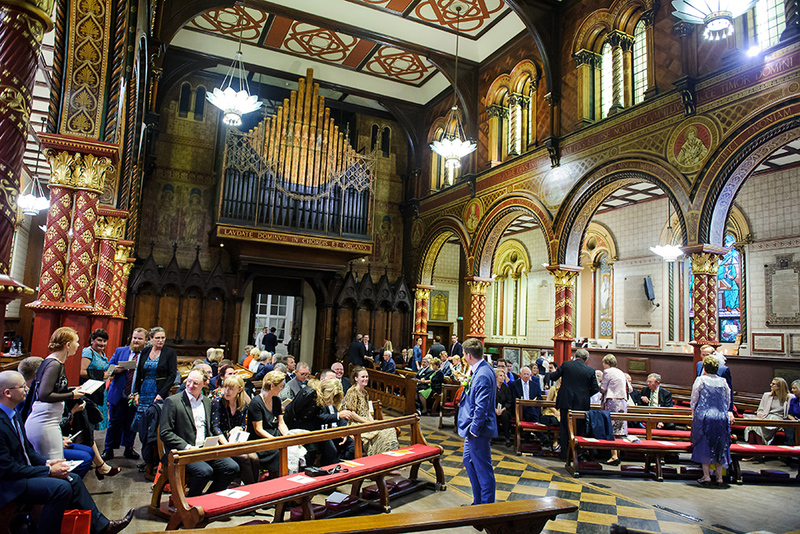 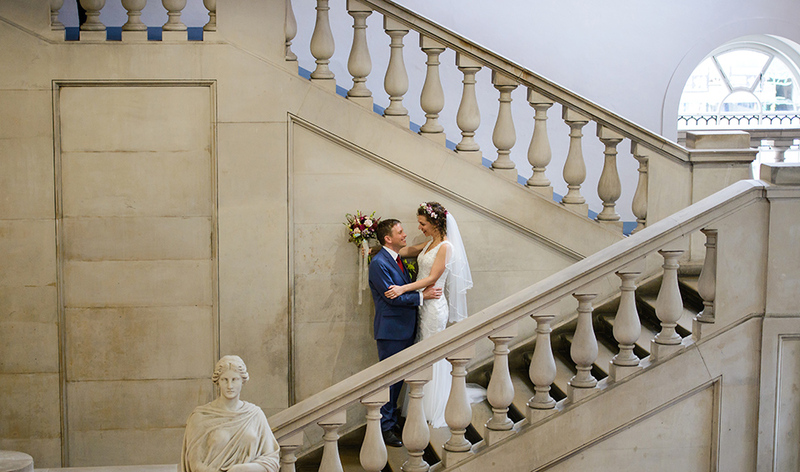 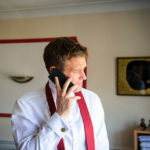 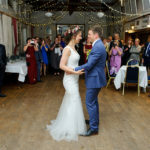 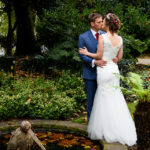 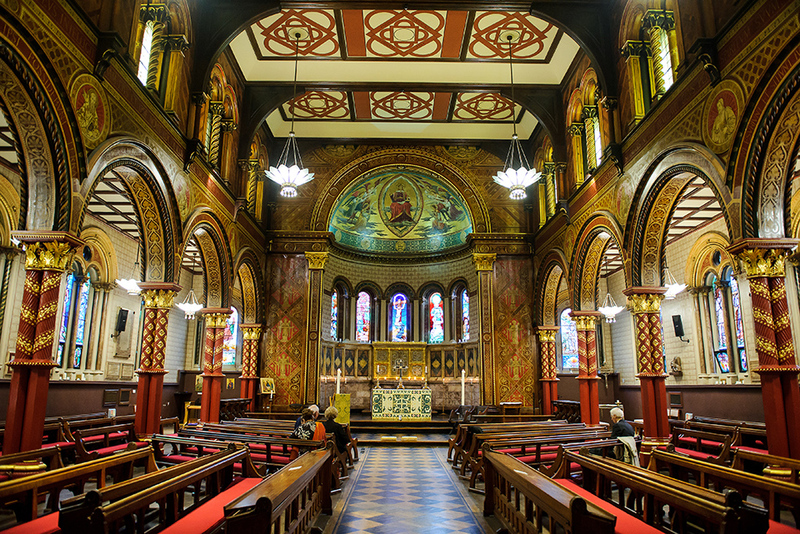 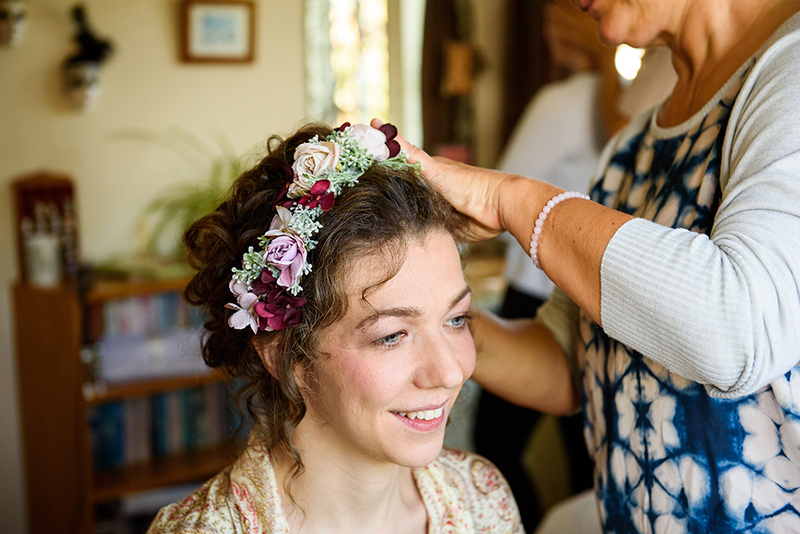 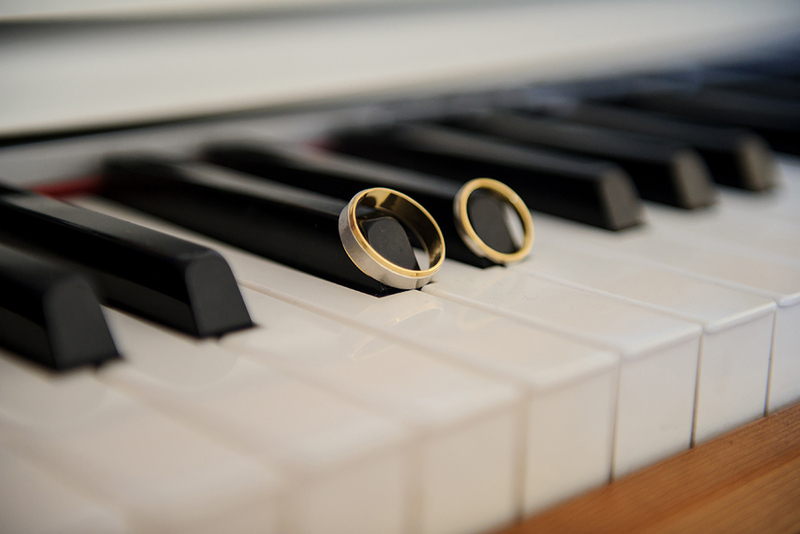 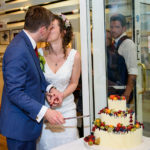 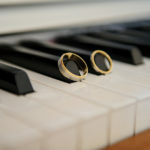 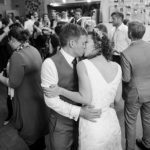 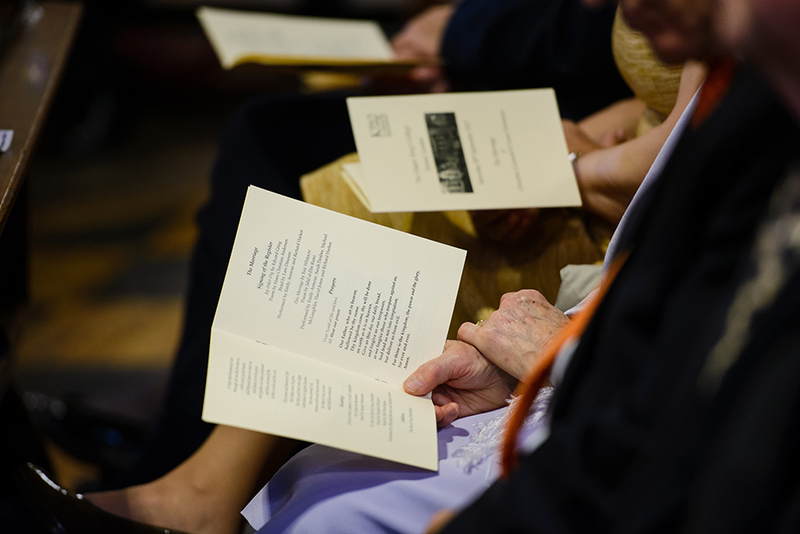 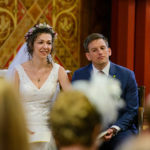 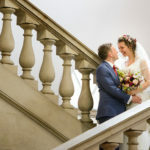 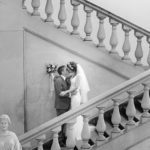 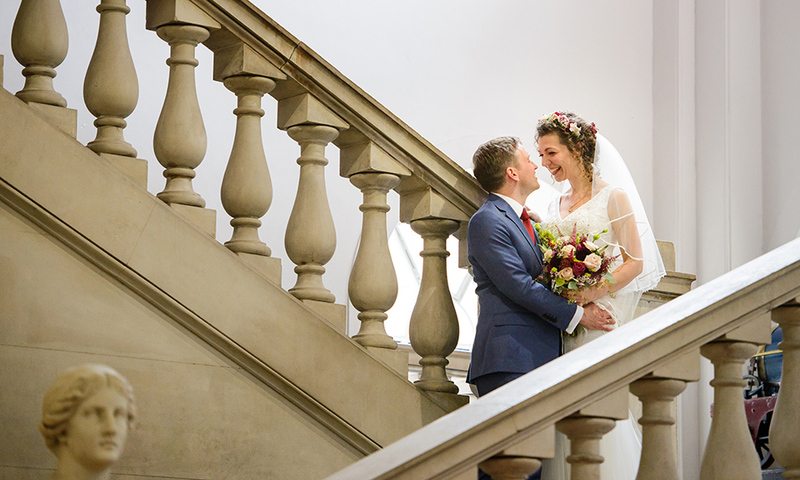 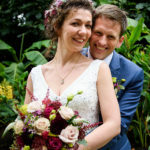 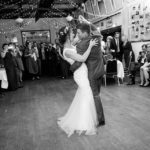 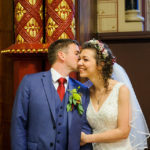 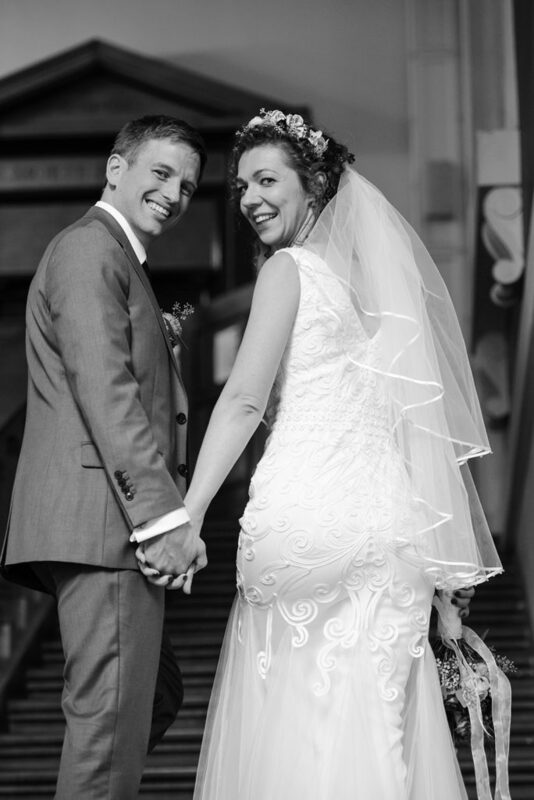 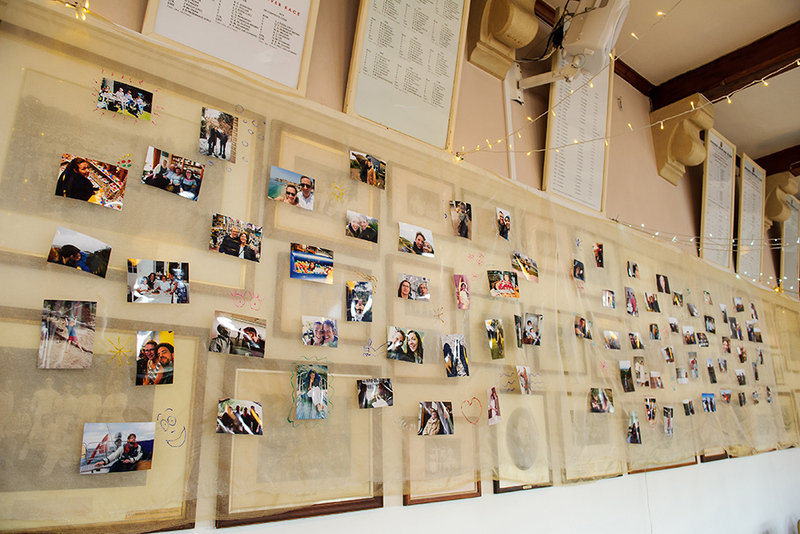 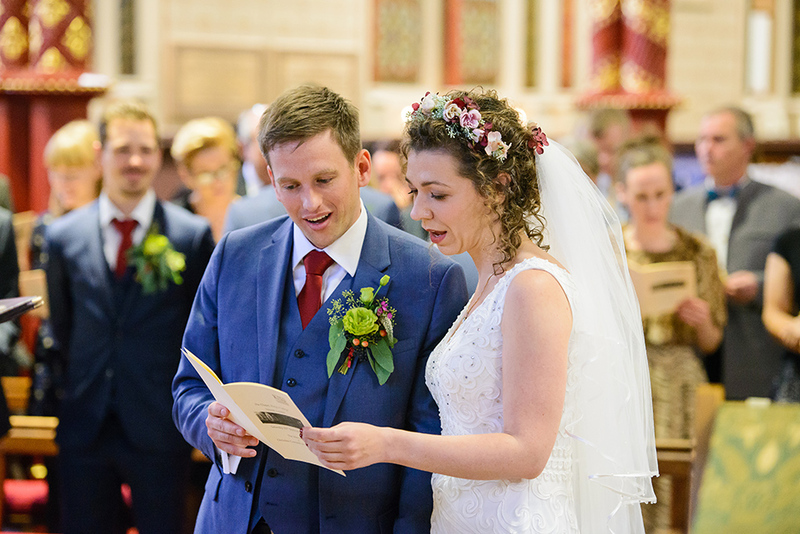 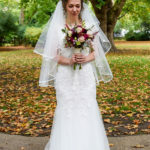 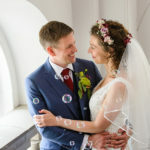 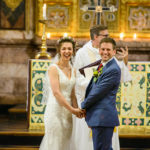 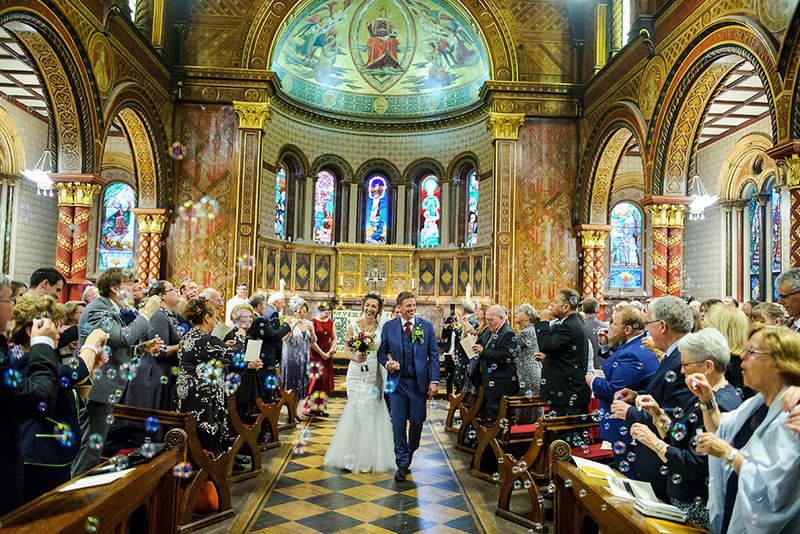 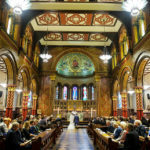 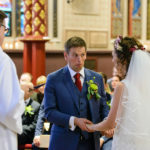 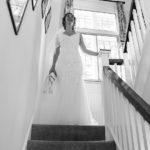 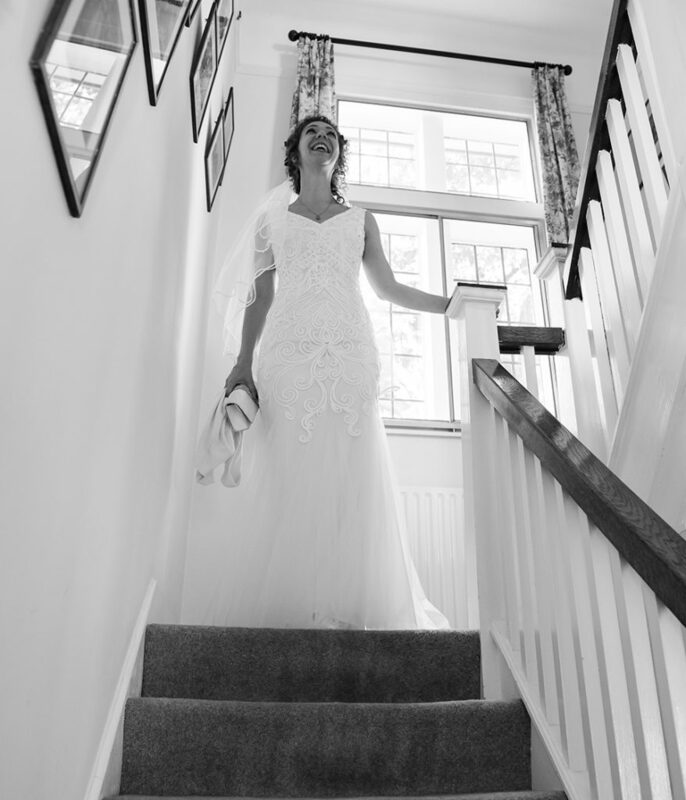 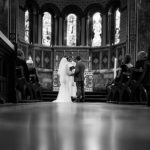 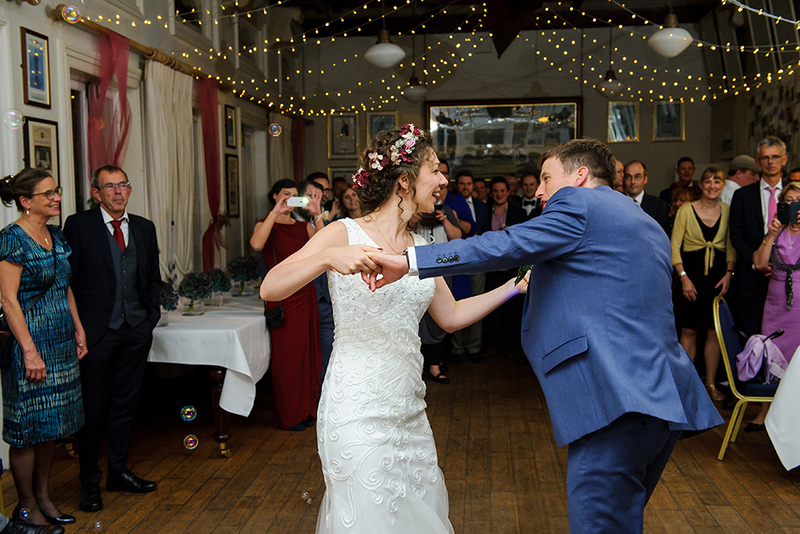 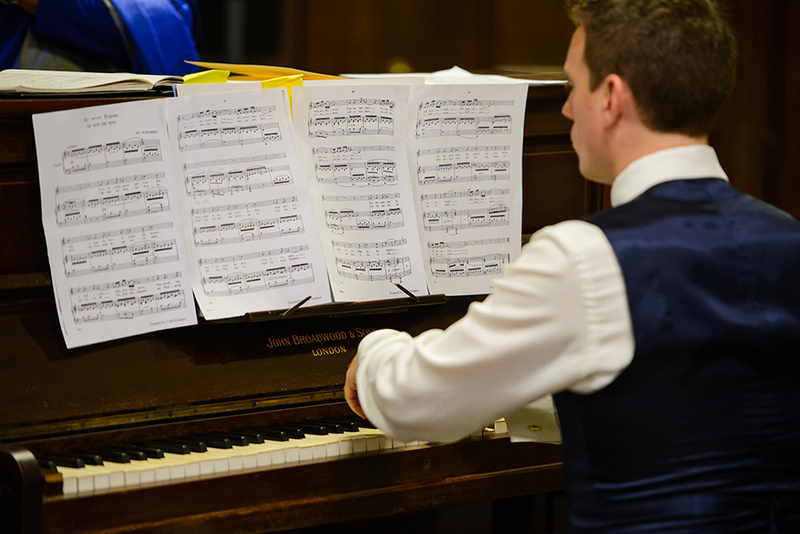 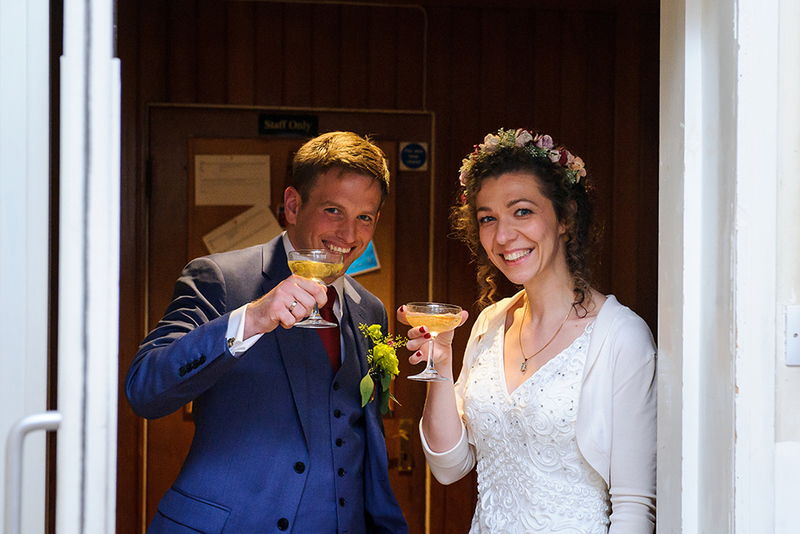 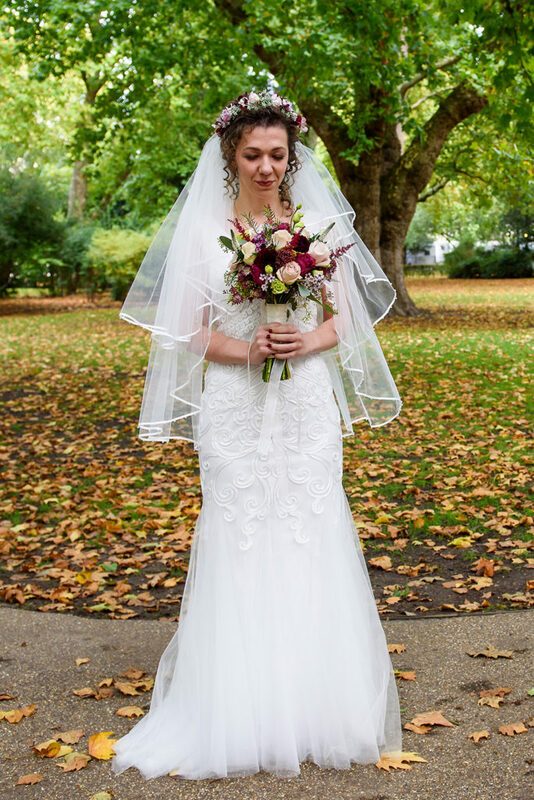 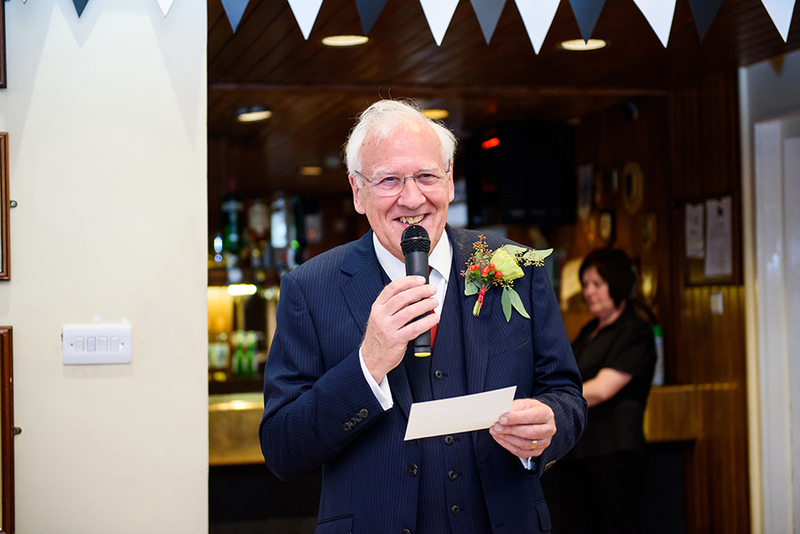 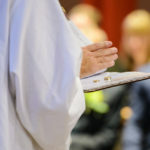 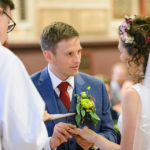 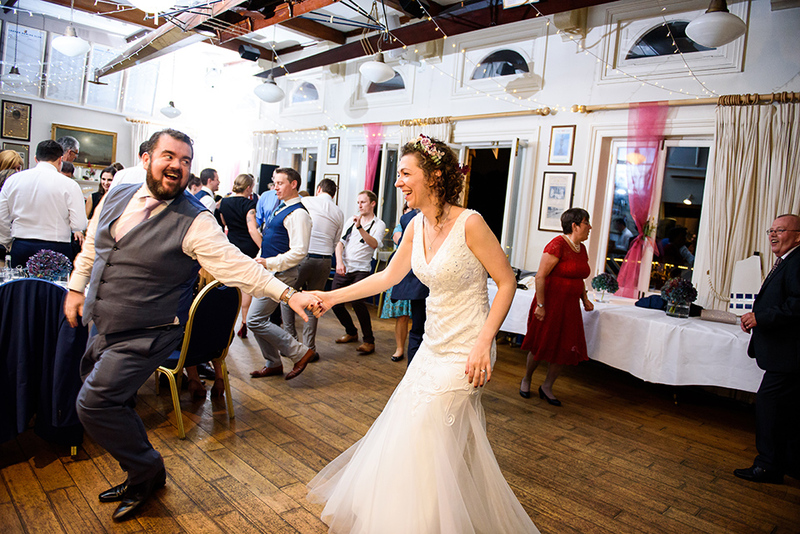 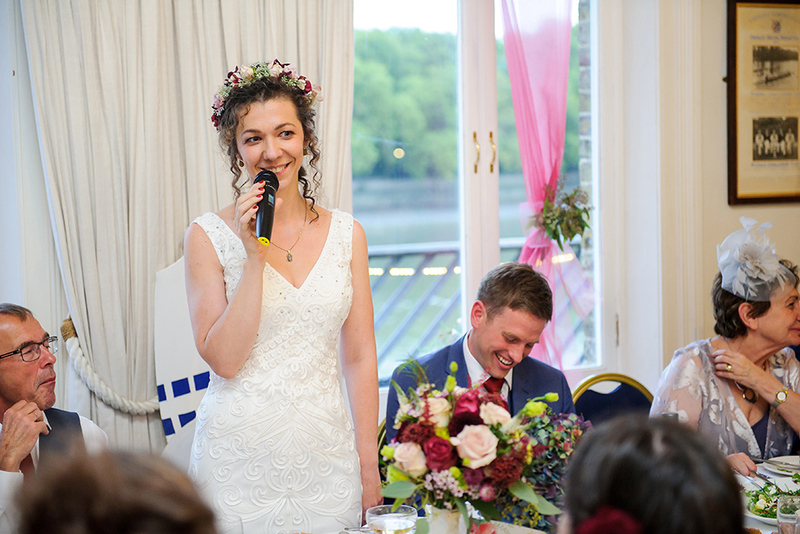 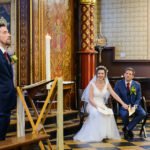 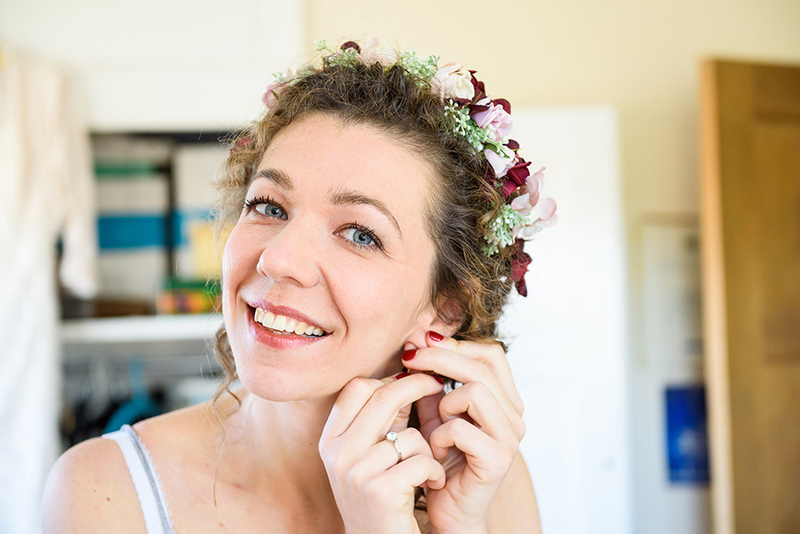 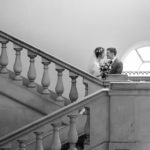 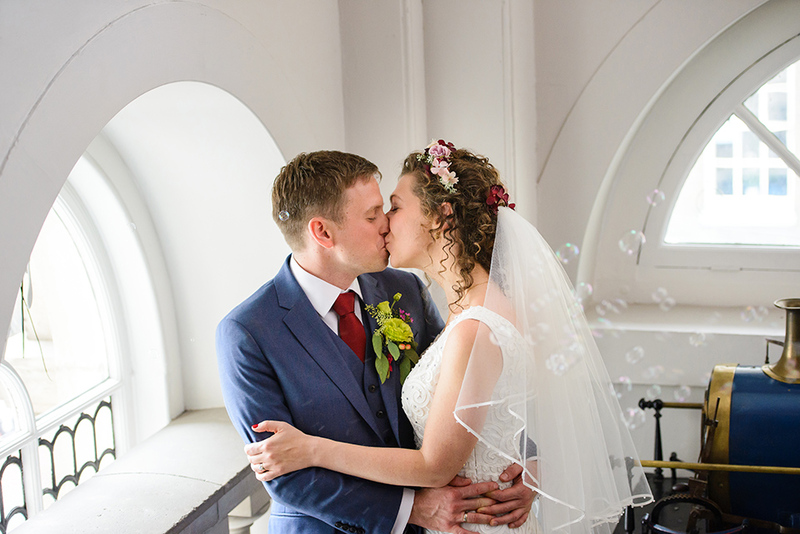 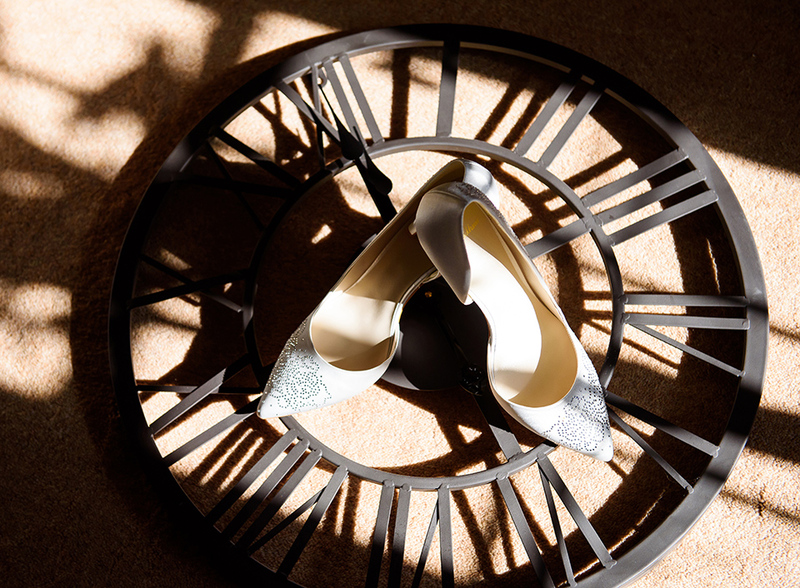 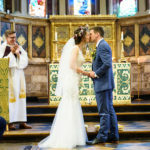 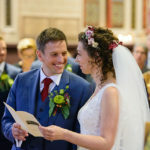 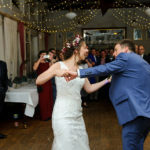 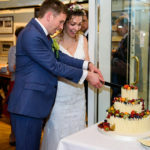 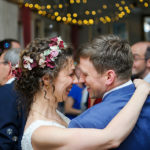 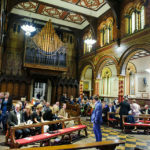 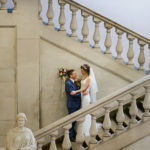 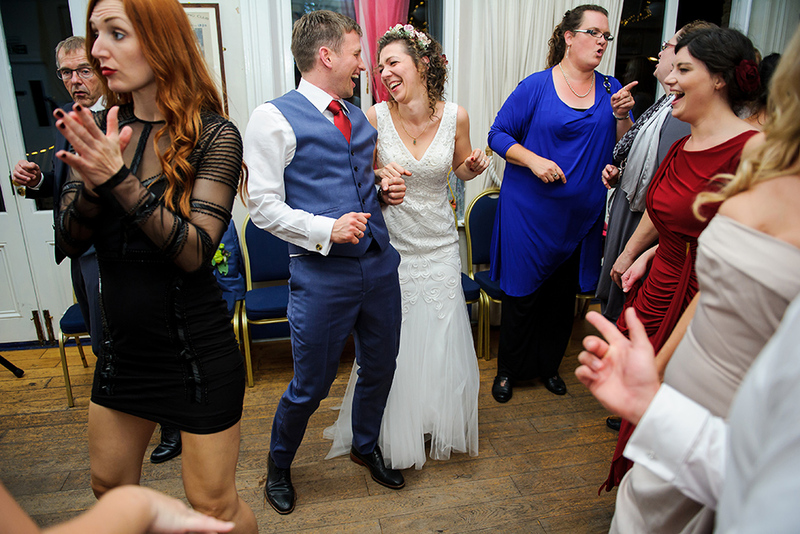 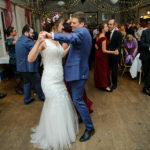 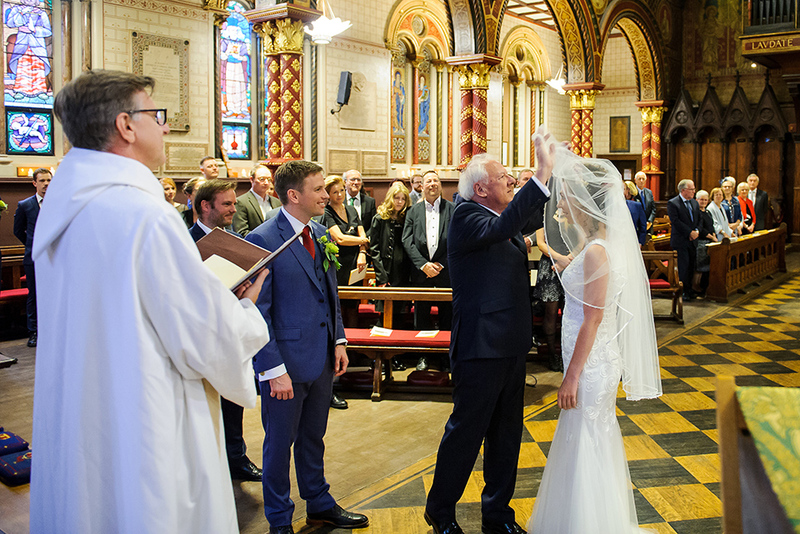 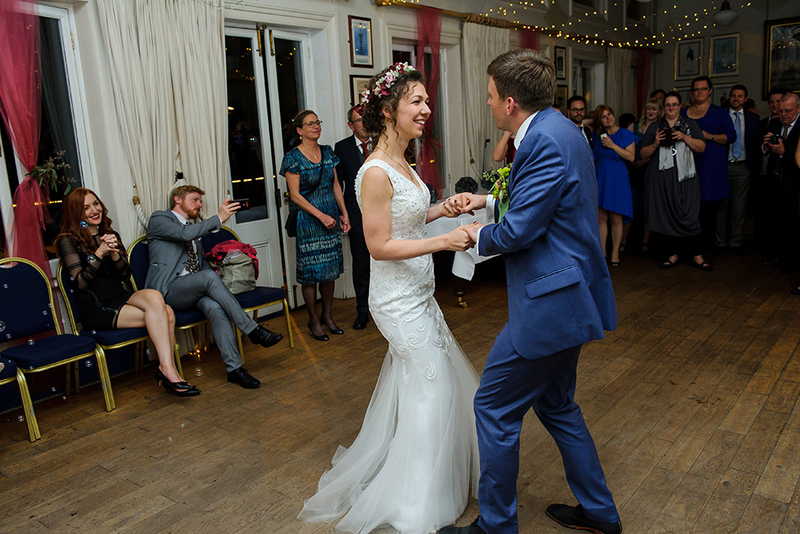 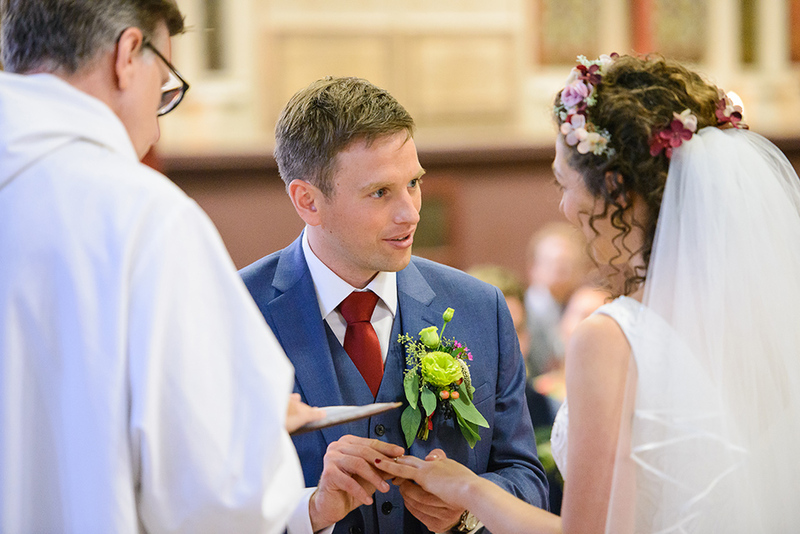 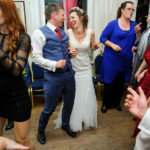 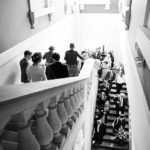 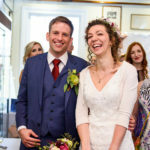 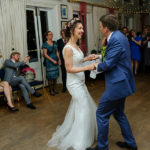 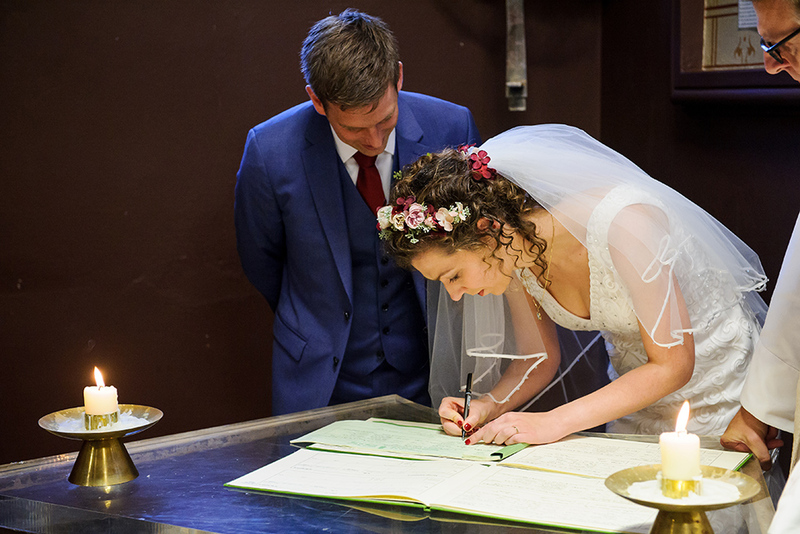 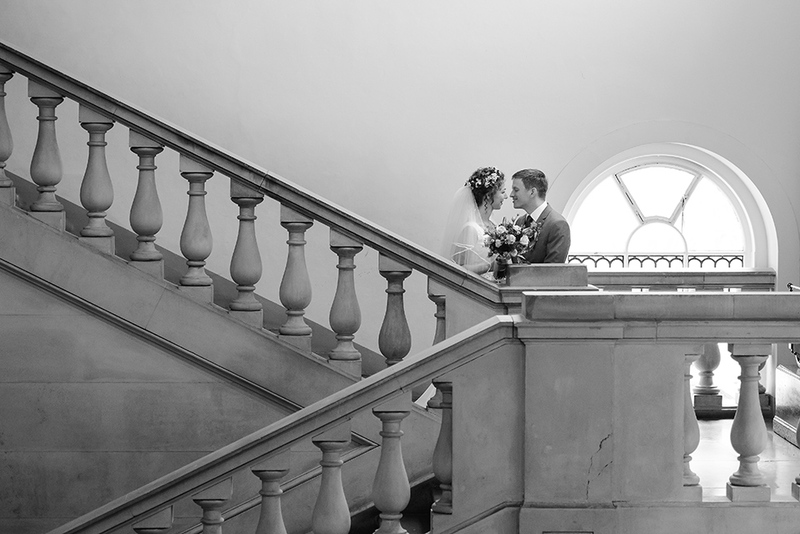 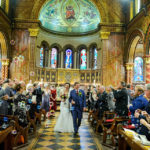 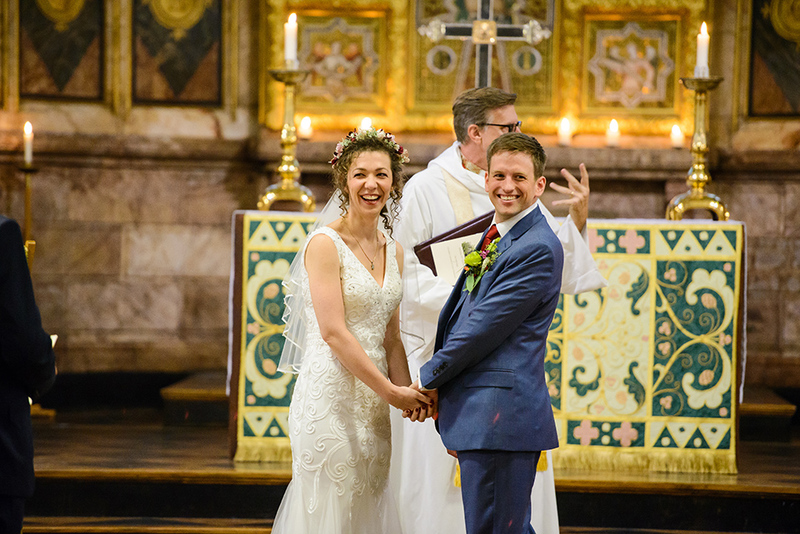 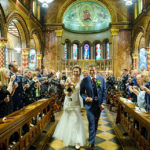 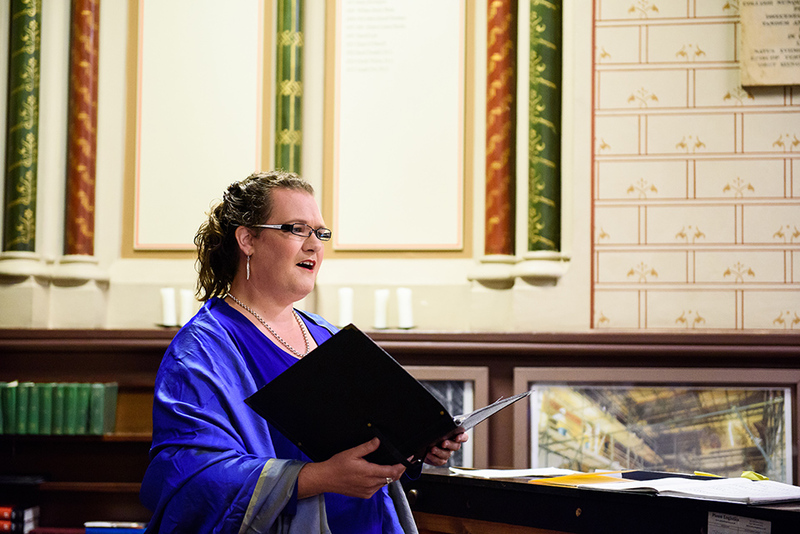 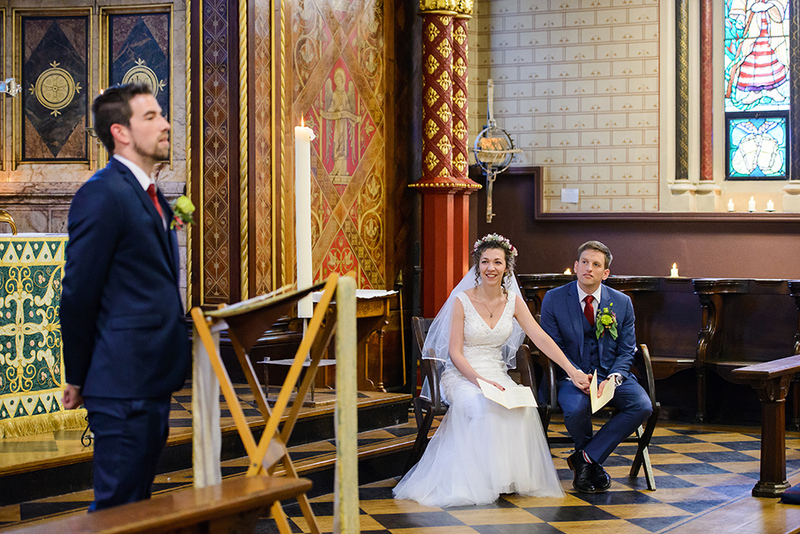 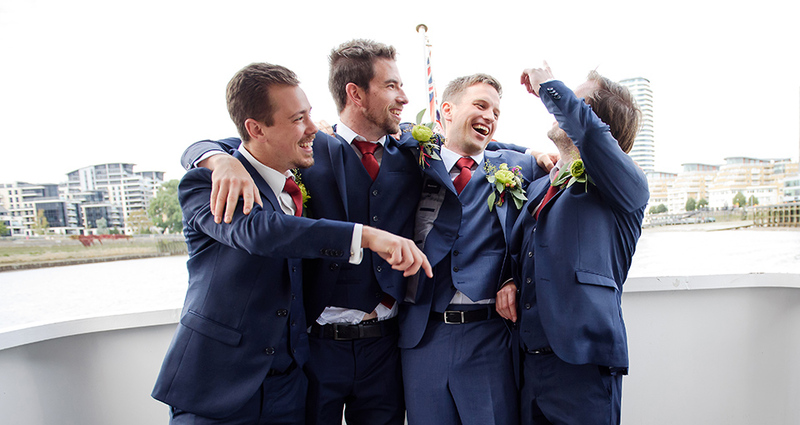 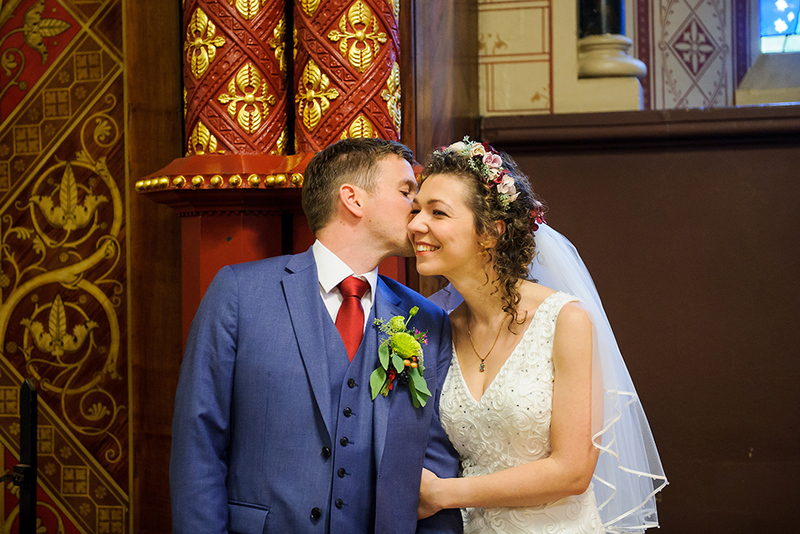 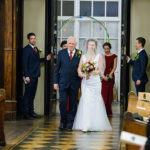 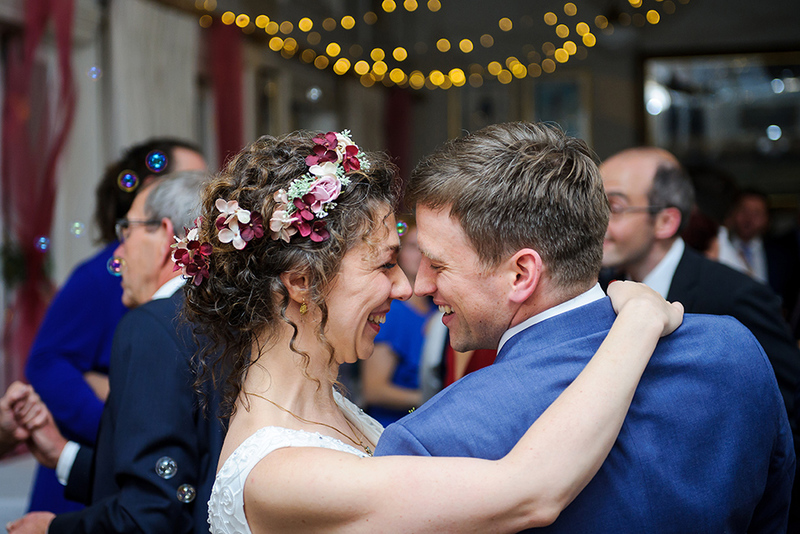 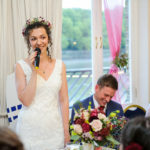 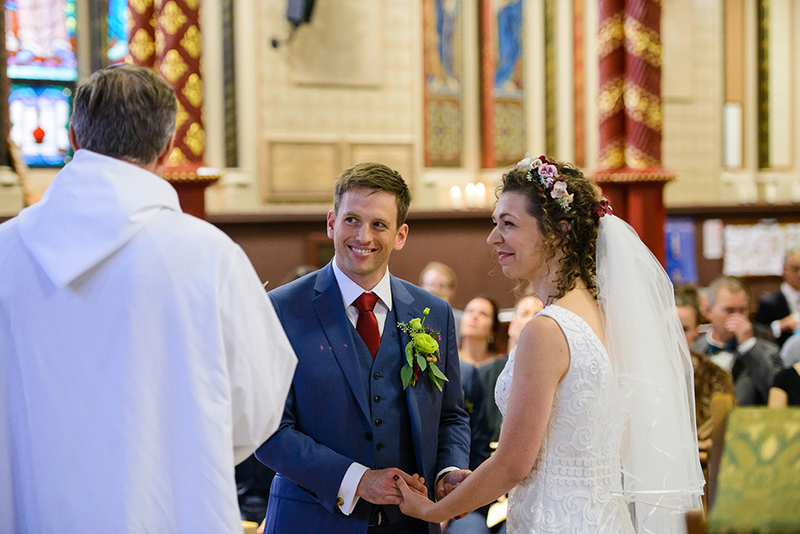 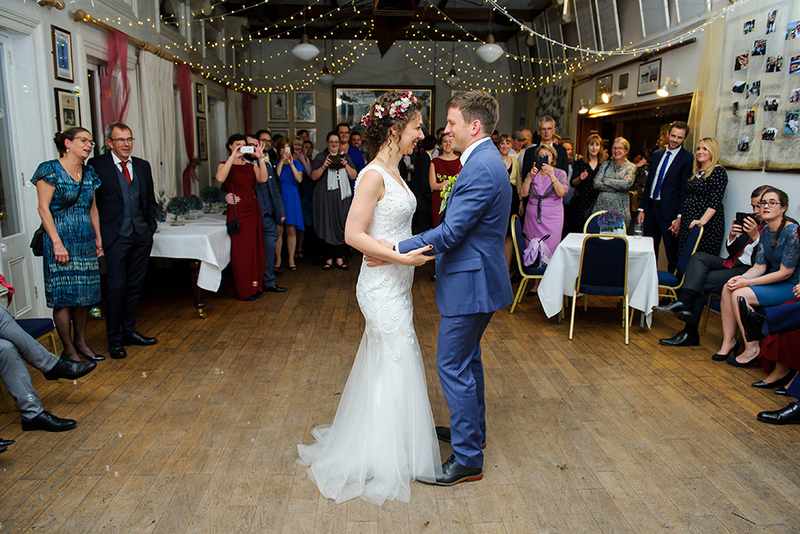 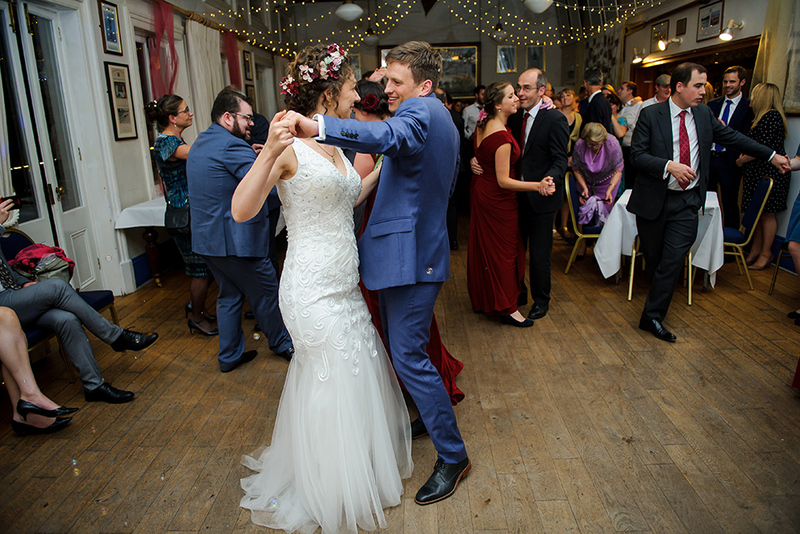 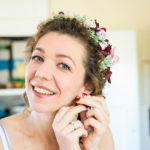 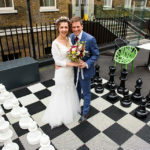 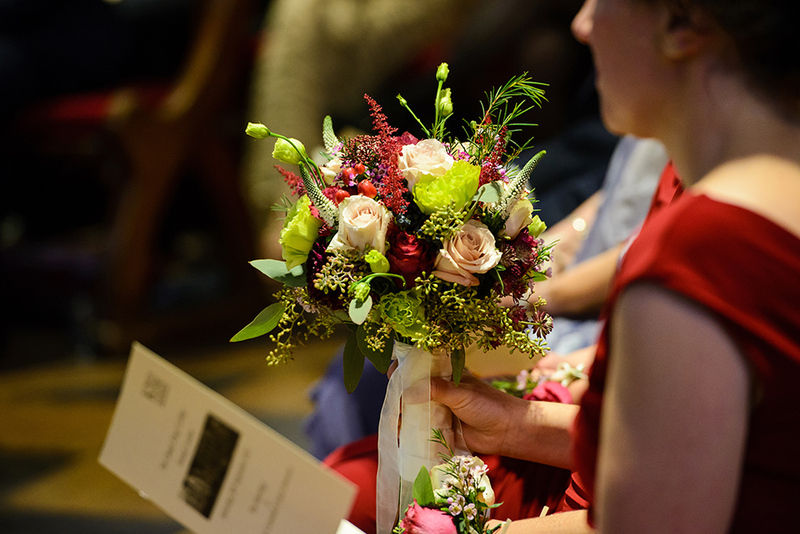 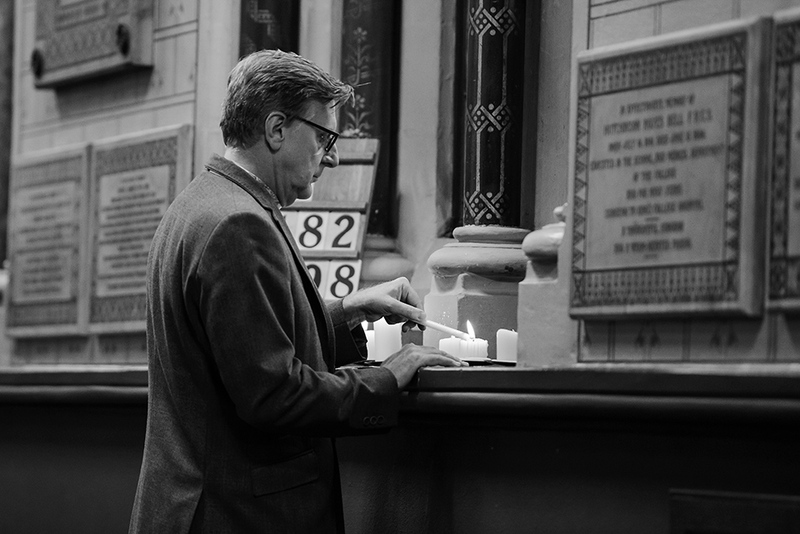 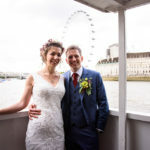 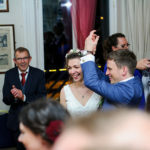 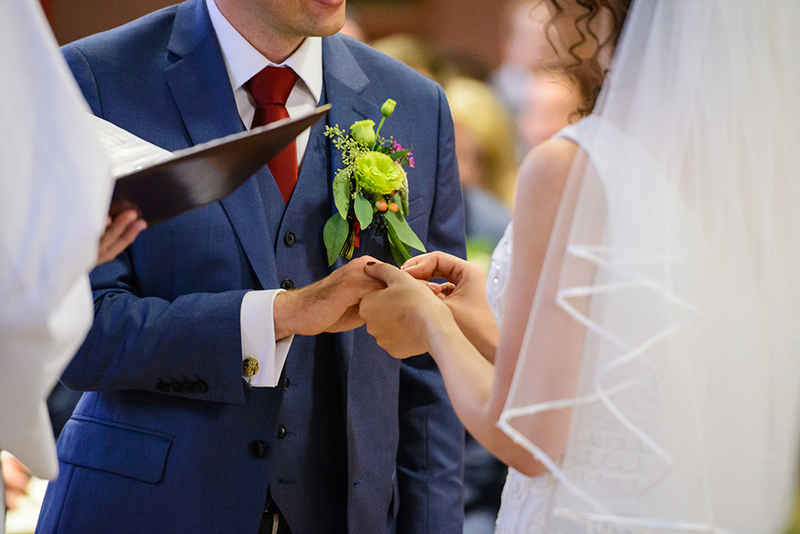 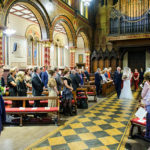 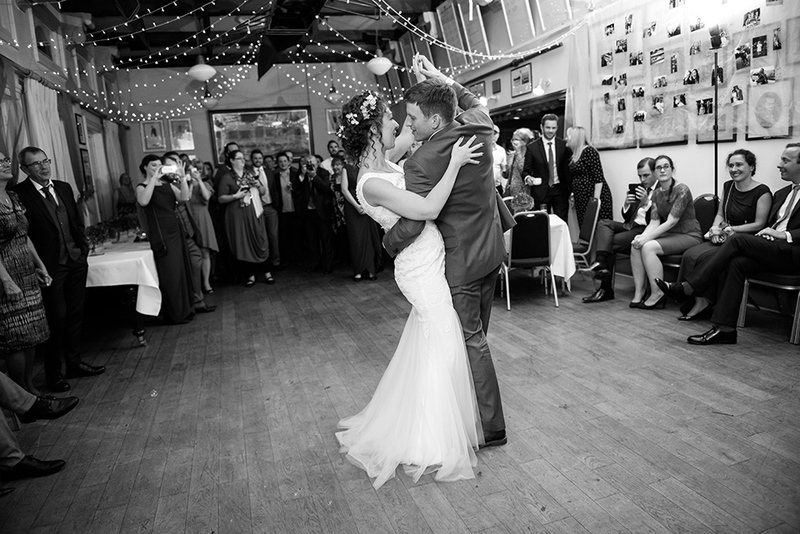 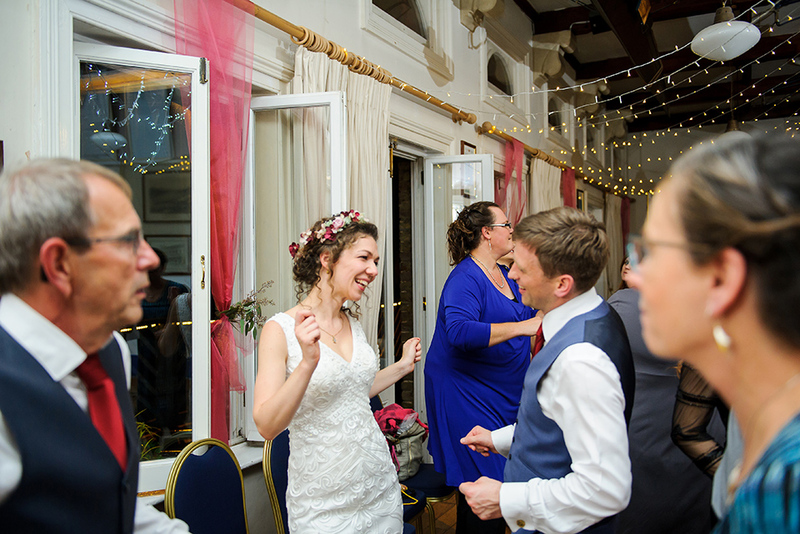 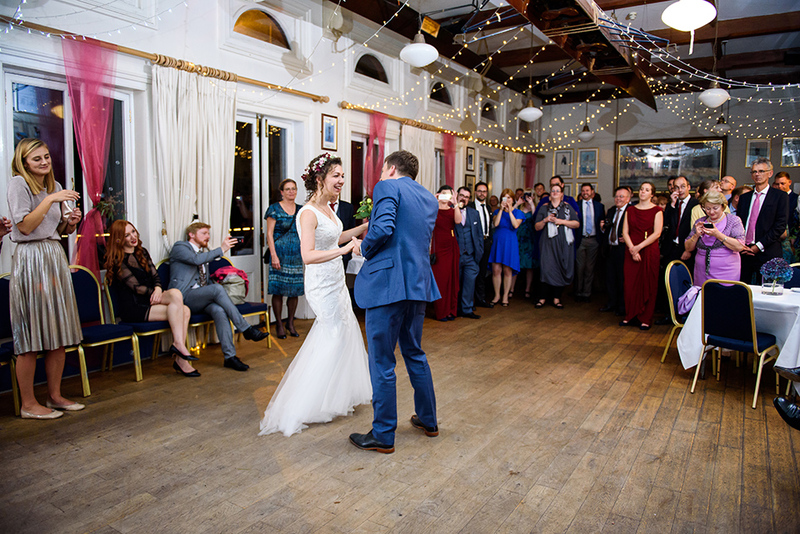 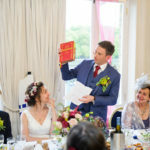 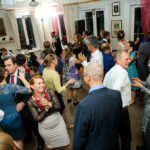 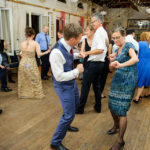 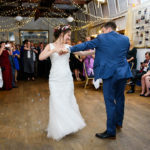 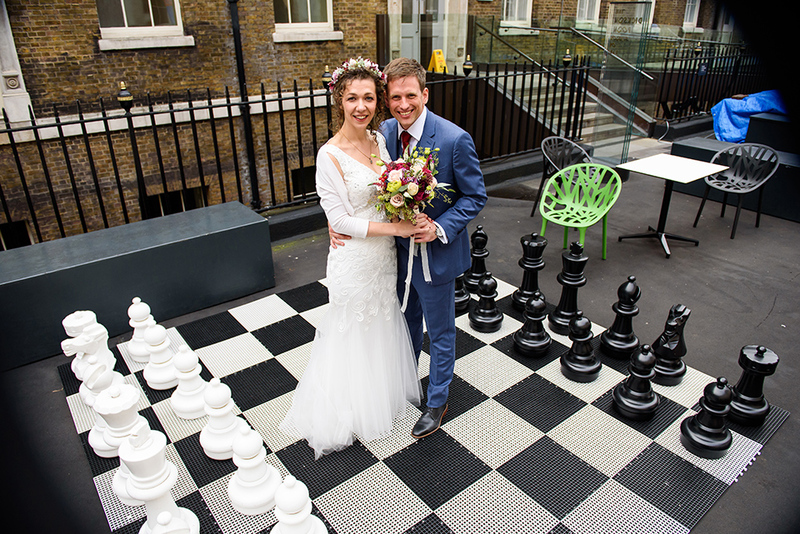 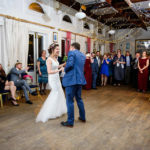 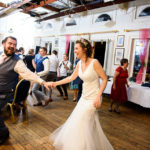 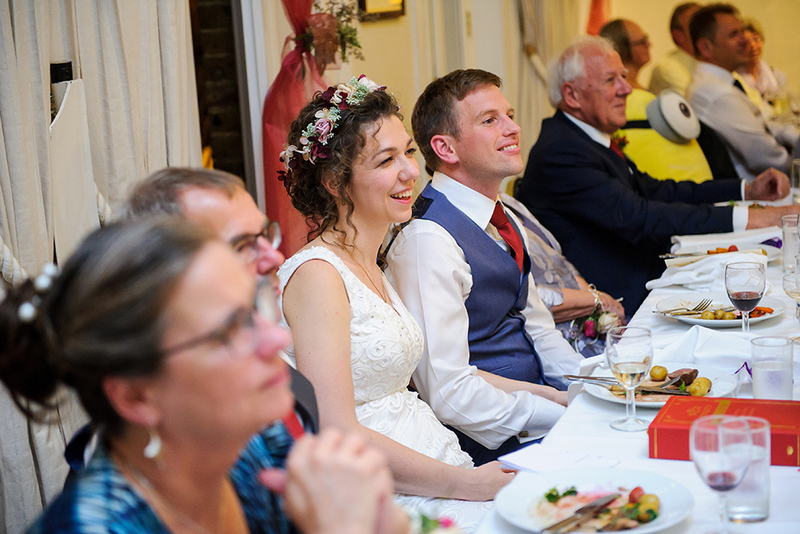 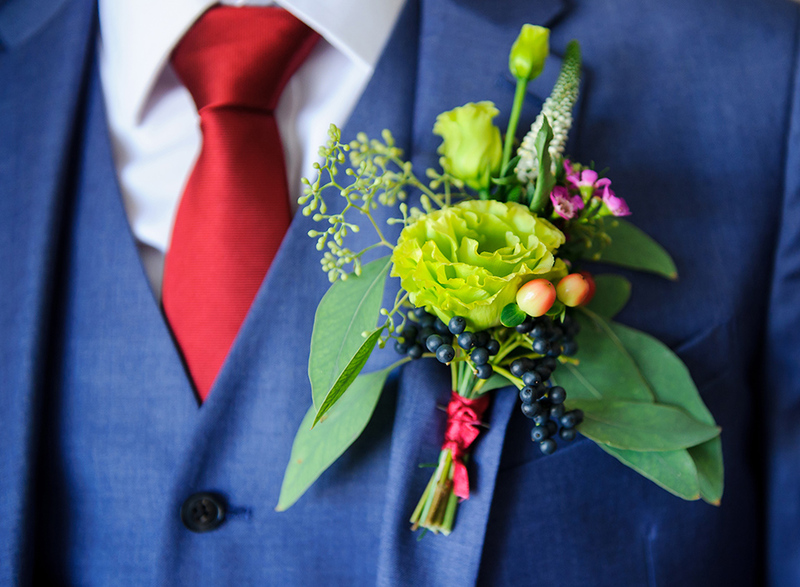 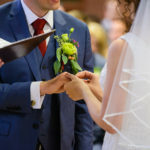 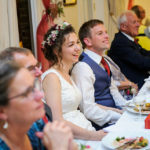 If you are planning a wedding at The Chapel Kings College London or if you are looking for a The Chapel Kings College London Wedding Photographer, please get in touch with us, we can help!